Winter is in full swing, with big snowstorms bringing powder days everywhere from Lake Tahoe to Austria. While we’re definitely fans of living in the moment, it’s always fun to look ahead to what is coming up next. 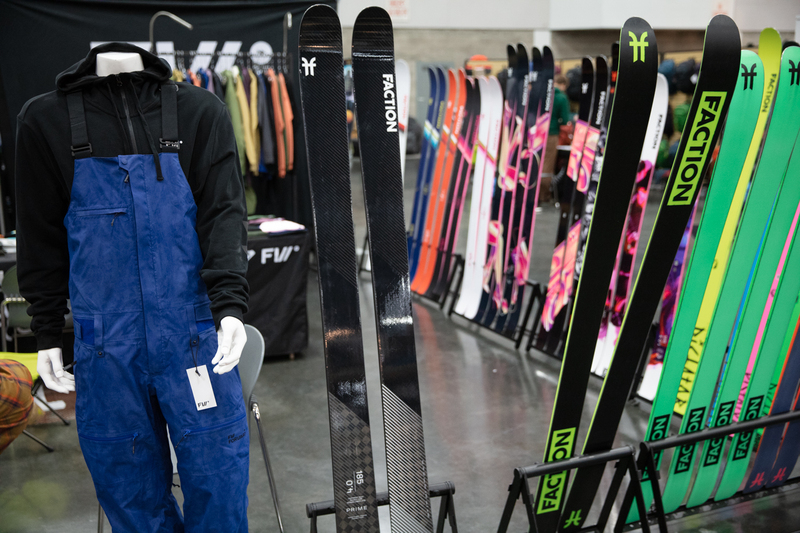 With this in mind, we wanted to bring a sneak peak of the newest and best 2020 ski gear that will be coming out in the fall of 2019. 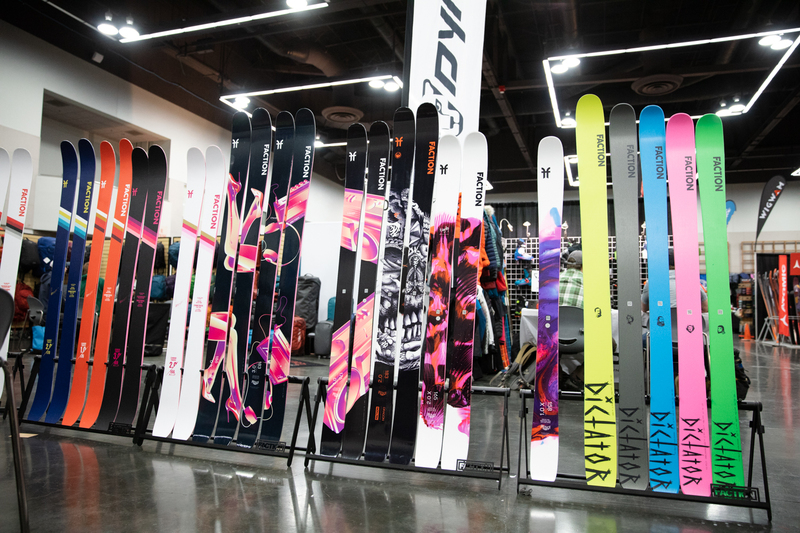 From lighter boots, to new 2020 skis, there is a lot to be excited about. 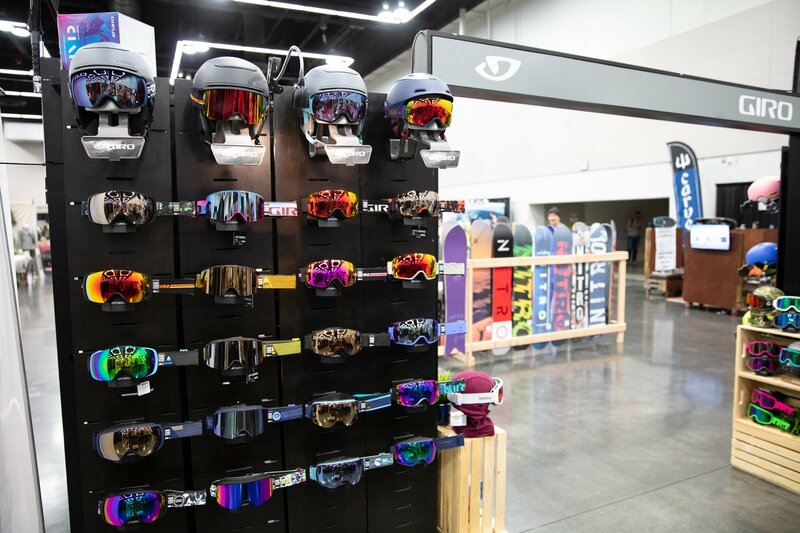 Plus, who doesn’t love checking out the new topsheet graphics and outerwear trends? 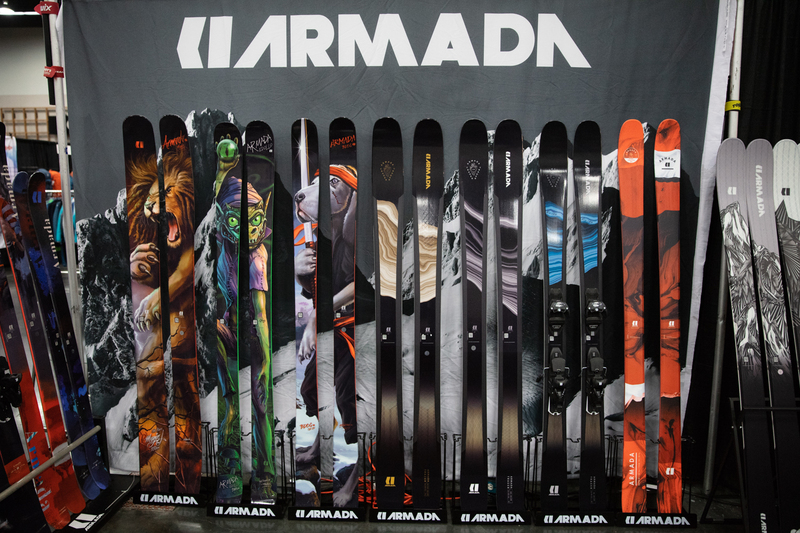 The new 2020 Armada skis lineup is looking sharp with small tweaks to the existing lineup, the return of a legend, and some new skis. The Tracer series gets rebuilt for 2020 with a new more touring specific construction and weight. 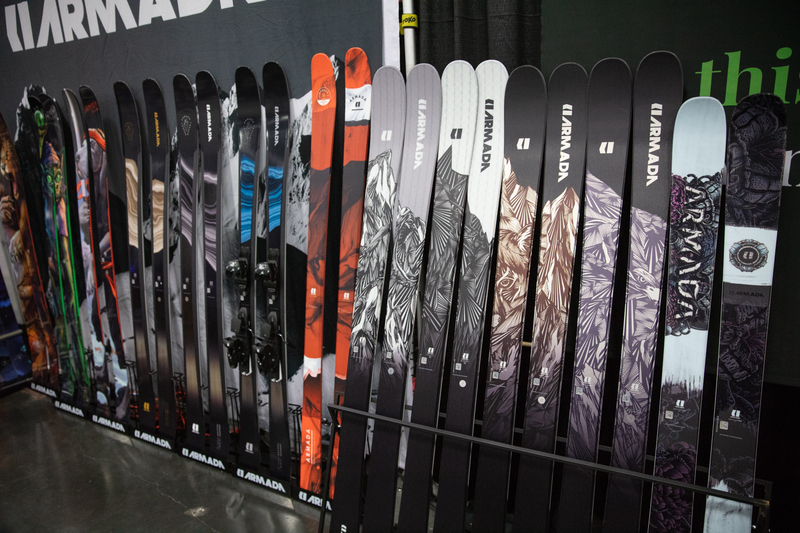 The 2020 Armada Tracer 108 also gets the same off-axis fiberglass “Adaptive Mesh” layup that the Tracer 118 has had in years past. 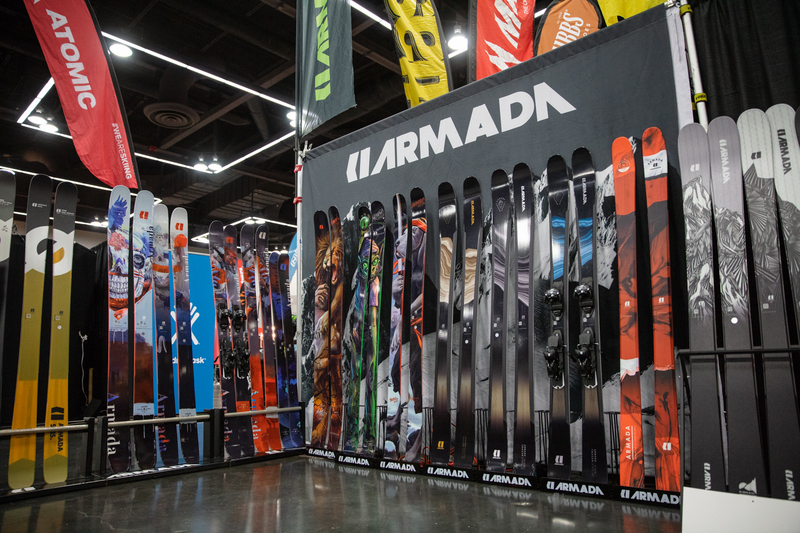 The 2020 Armada Zero collection gets wider availability and a couple notable additions. The legendary ARG II returns, and is introduced to the Zero collection. 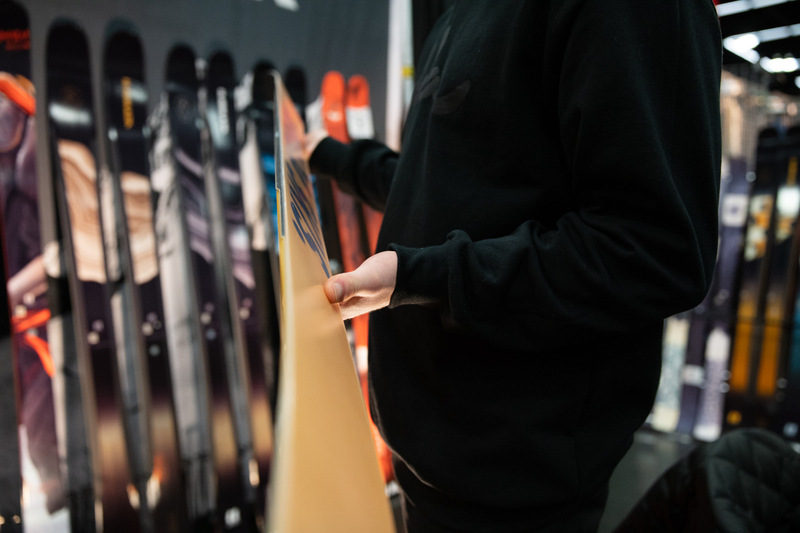 It gets the addition of some camber and subtle shape tweaks to make it slightly better out of powder, but make no mistake, this is still deep pow ski. 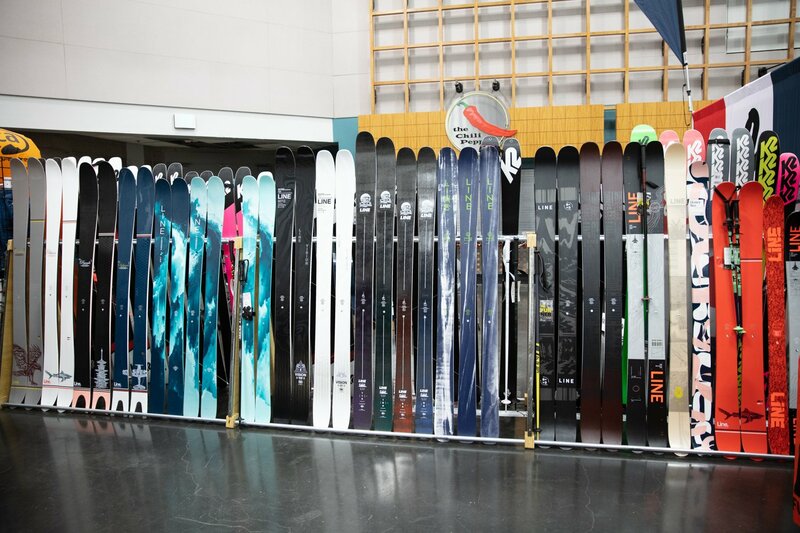 Another new addition to the Zero Collection is the BDog Zero Edgeless, a soft, completely edge-free ski built for urban rail skiing. 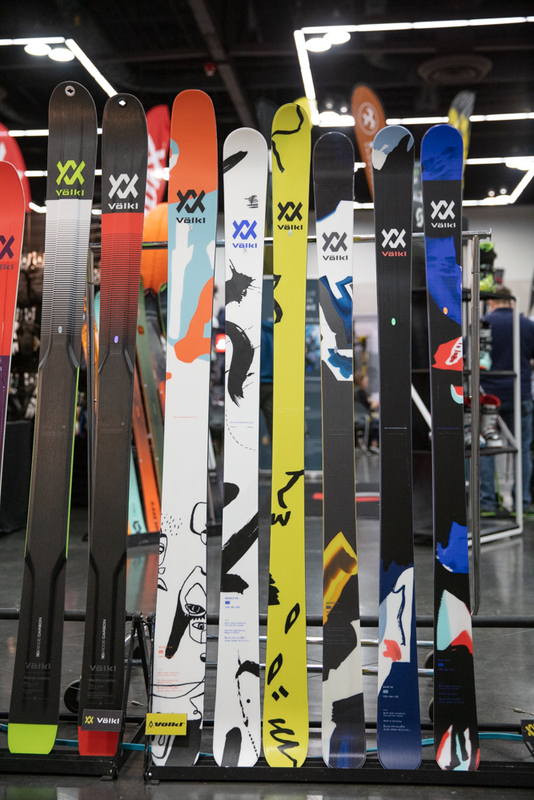 The final new ski in the Zero Collection is the Declivity X, a burly ski built for big mountain ripper Tof Henry. 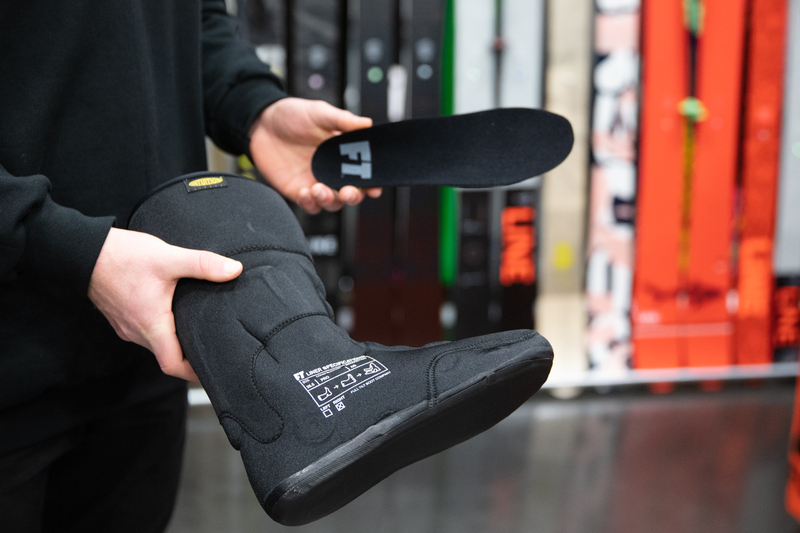 In 2020, Armada now gets their own version of the Shift binding, coming in what’s sure to be a popular colorway - all black. 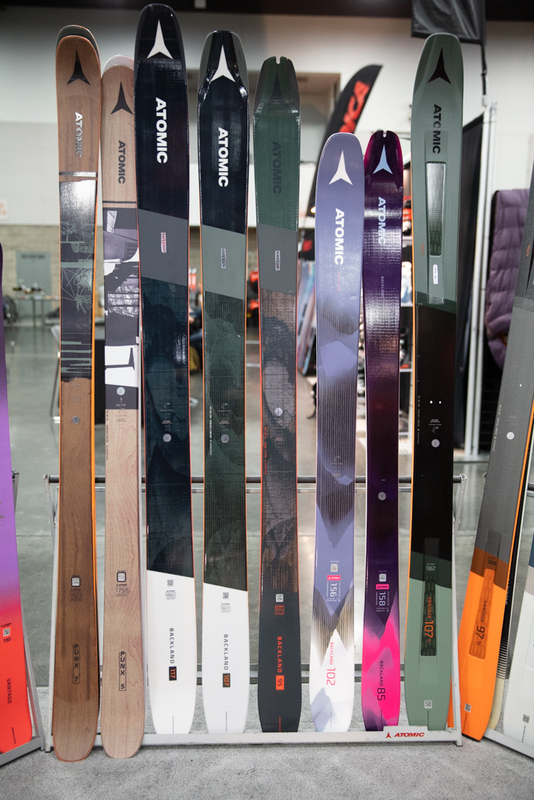 After breaking out some big changes and new products in 2019, Atomic is mostly sticking to smaller changes to existing models in 2020, with one big exception. First and foremost, the Atomic Shift remains unchanged, as well as both the Bentchetler 120 and Bentchetler 100, except for graphic updates. 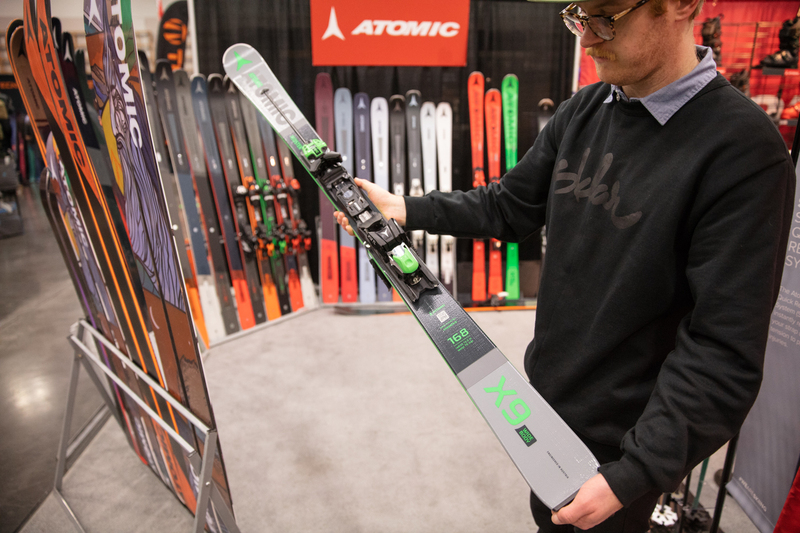 One new ski to the party is the 2020 Atomic Redster X9 widebody, sporting a wider 75mm waist width. 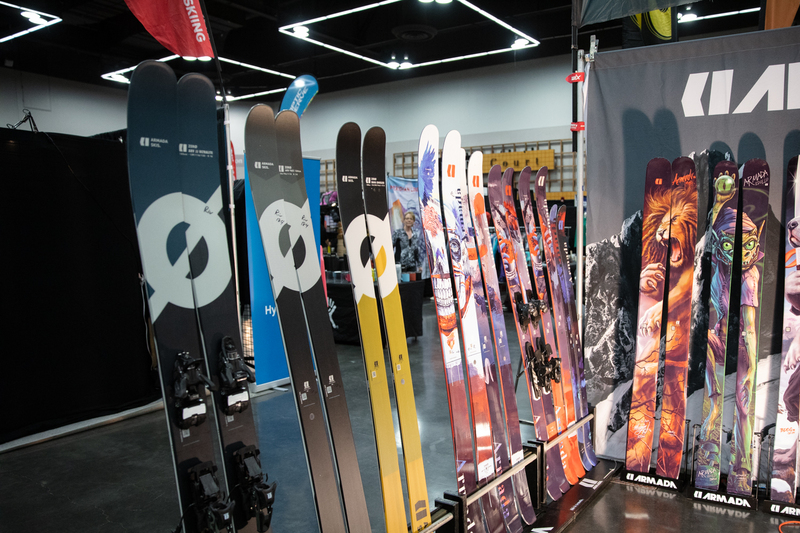 This ski will be a great for skiers that want the hard snow ability of the Redster, but want a bit more all-mountain versatility. 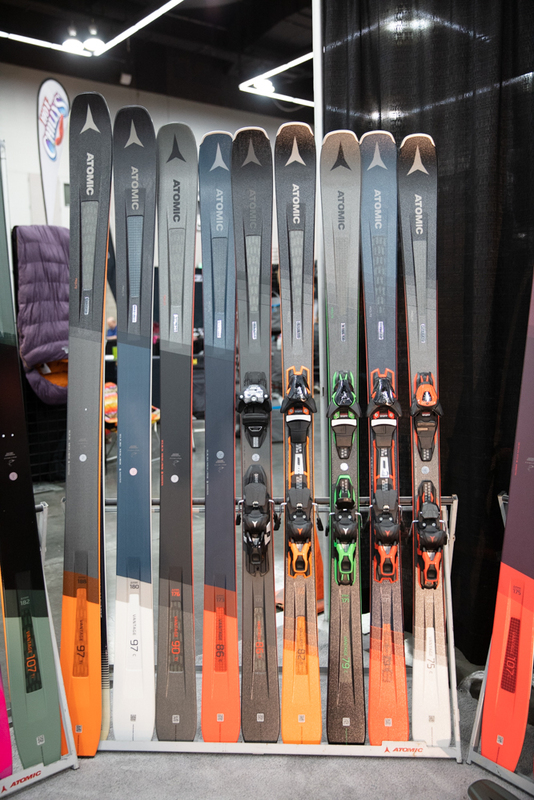 Atomic’s big introduction for 2020 is the new “Savor” line of products focused on ease and comfort for beginner skiers. 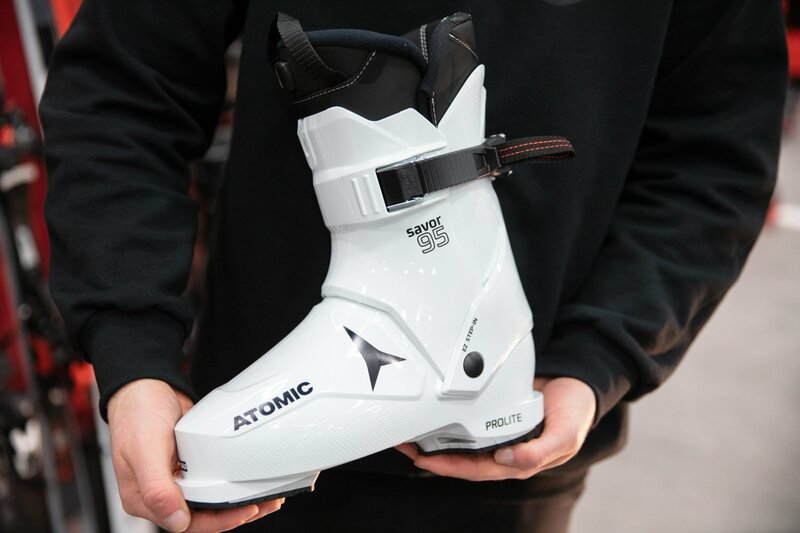 This includes the New Atomic Savor Boots, that may give flashbacks to rear-entry boots of old, though they’re sure to perform much better. 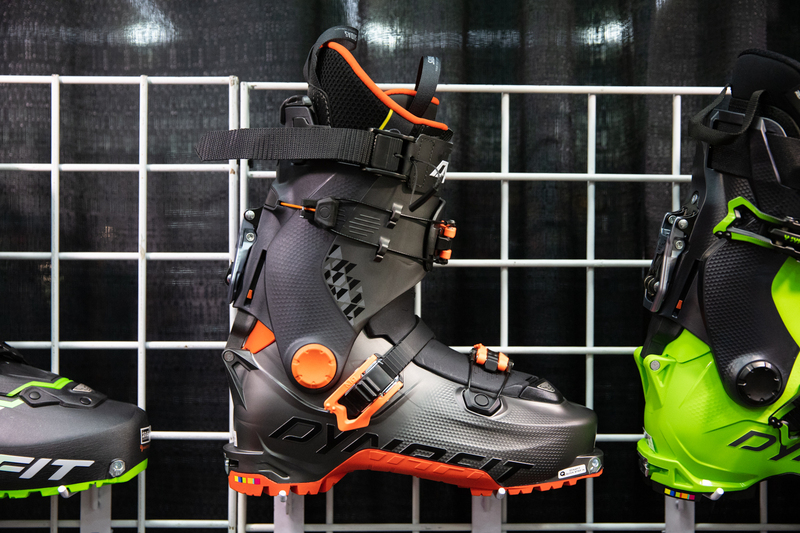 The popular Hawx XTD also gets some minor tweaks getting a Gripwalk sole, new buckles, a new liner, and a better power strap. 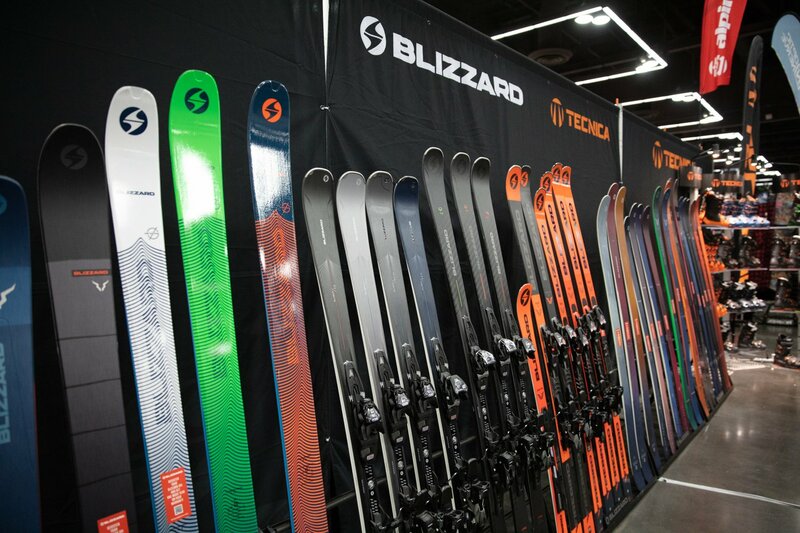 The Blizzard Rustler line has been making skiers smile for two years now. And it will continue doing so in 2020! 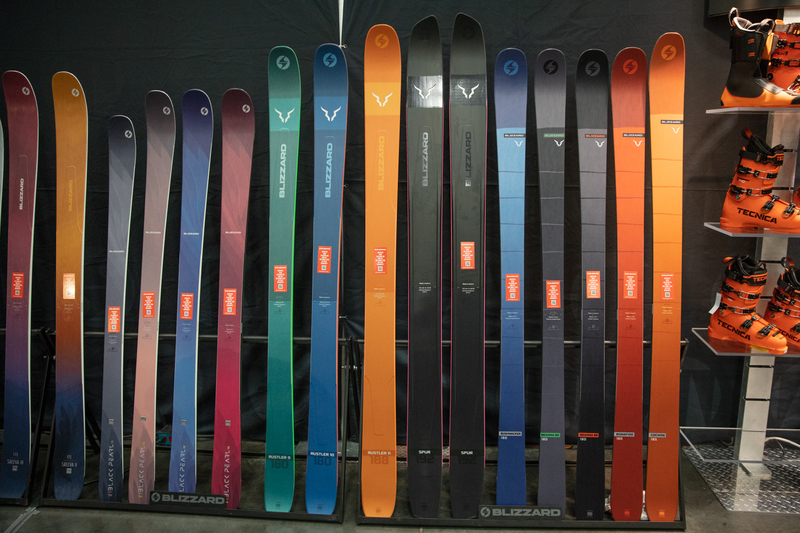 The 2020 Blizzard Zero G line, however, gets some great updates. 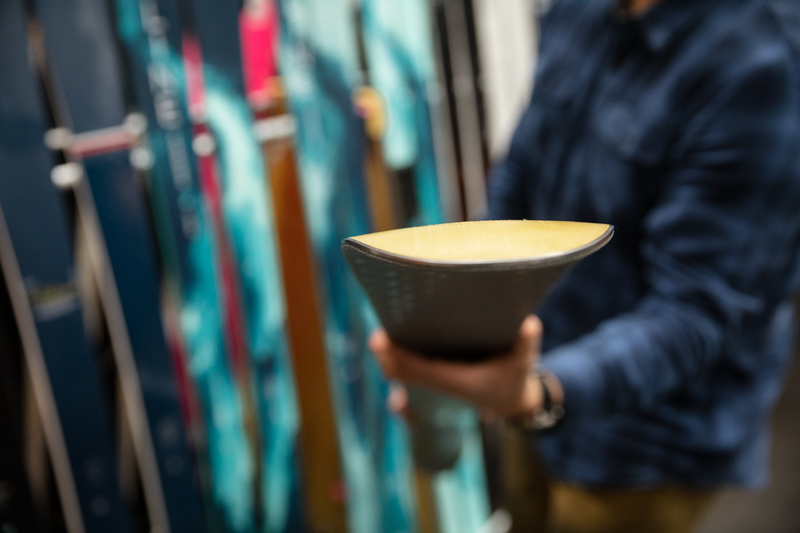 The new construction features more carbon, not only giving the skis better hardback performance, but also making them 15% lighter. 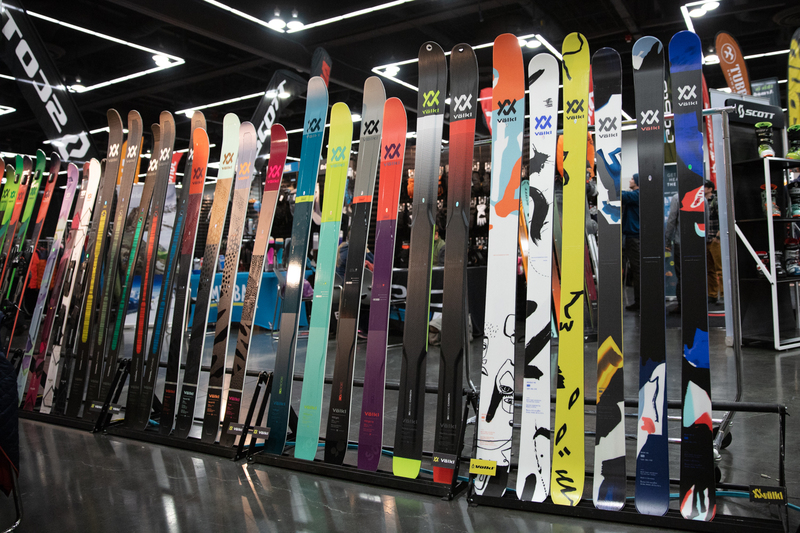 Another notable change to the Zero G lineup is the 108 turns into a 2020 Blizzard Zero G 105, with a more “freeride” shape. 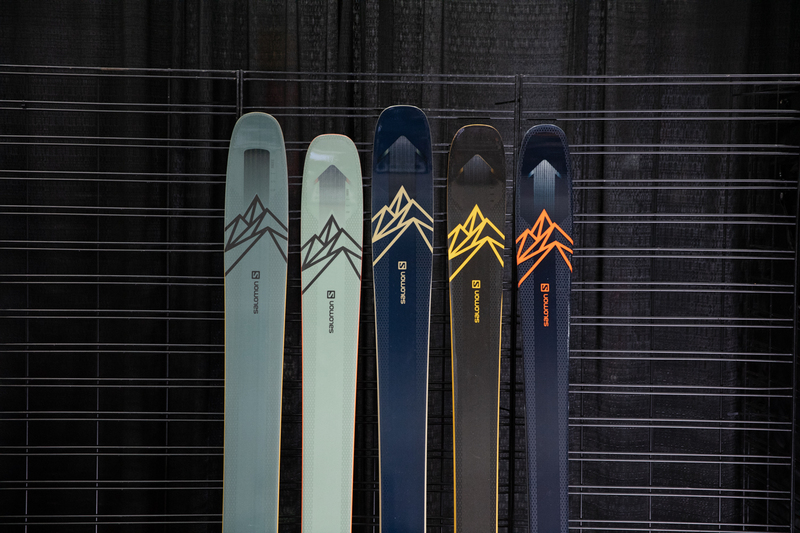 The Brahma and women’s Black Pearl series each gain a new ski in a 82mm waist width. 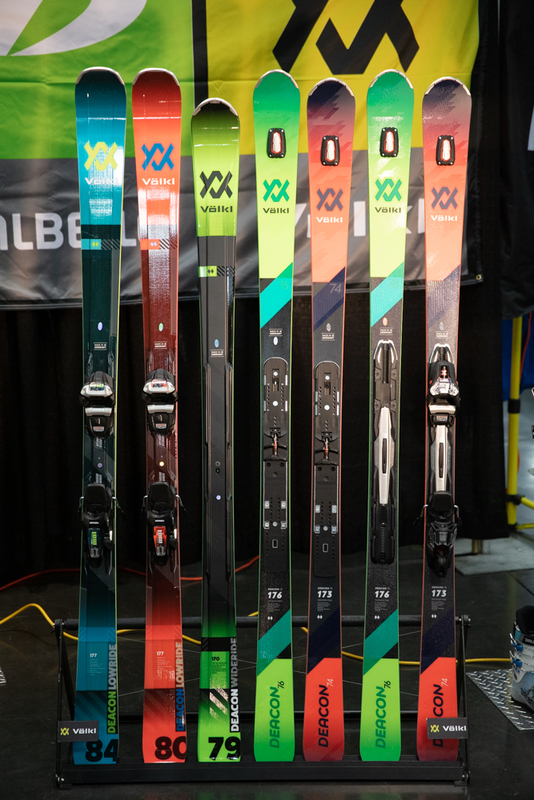 Dalbello brings some great new updates to their 2020 lineup. The Lupo line gets extended, with some awesome new options including the lightweight 2020 Dalbello Lupo Air. 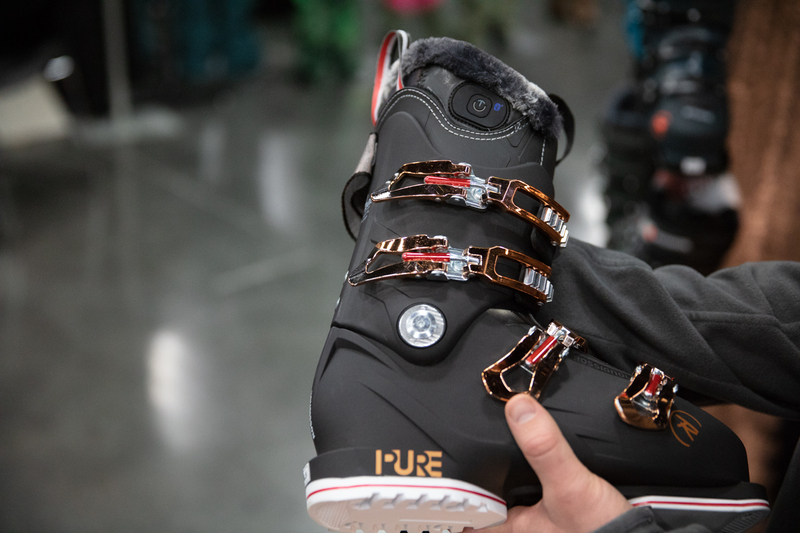 The Lupo Air features Grillamid construction Vibram Gripwalk, and ratchet buckles. It may be more notable for what it lacks, however, a tongue. 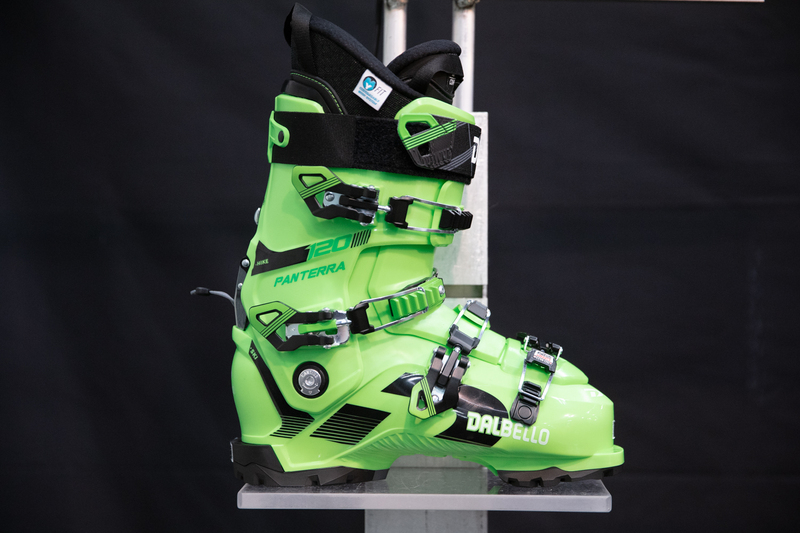 The 2020 Dalbello Lupo Air comes in 130 and 110 flex options. The Panterra line gets major updates, too. These boots get lighter, and get the addition of Gripwalk Soles. The women’s Kyra line gets included into the Panterra line, as the Panterra W line, too. 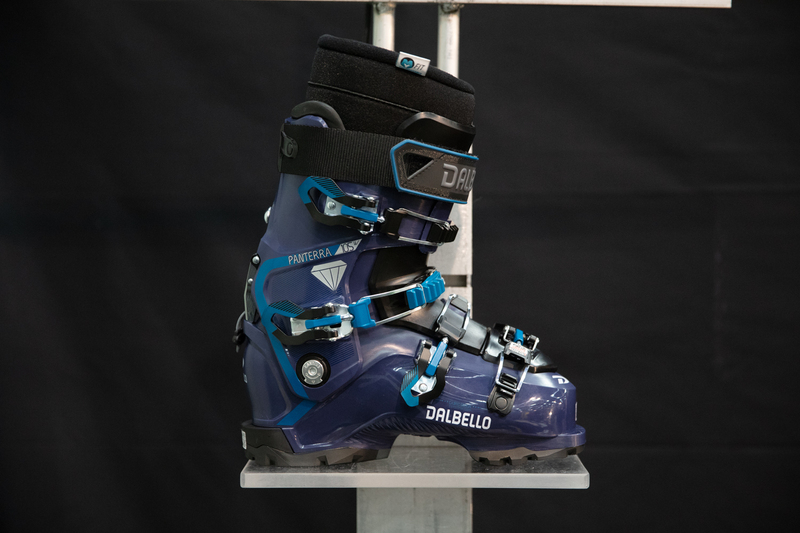 Another cool addition of Girpwalk, Dalbello has added the soles to some models of junior and childrens boots, meaning easier parking lot walks and happier kiddos on the slopes. 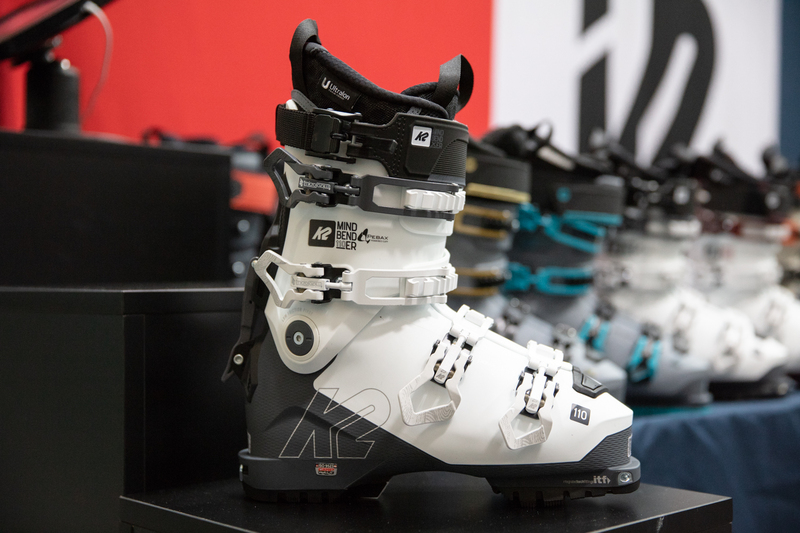 The 2020 Dynafit ski boot line expands on last year’s introduction, the Hoji. 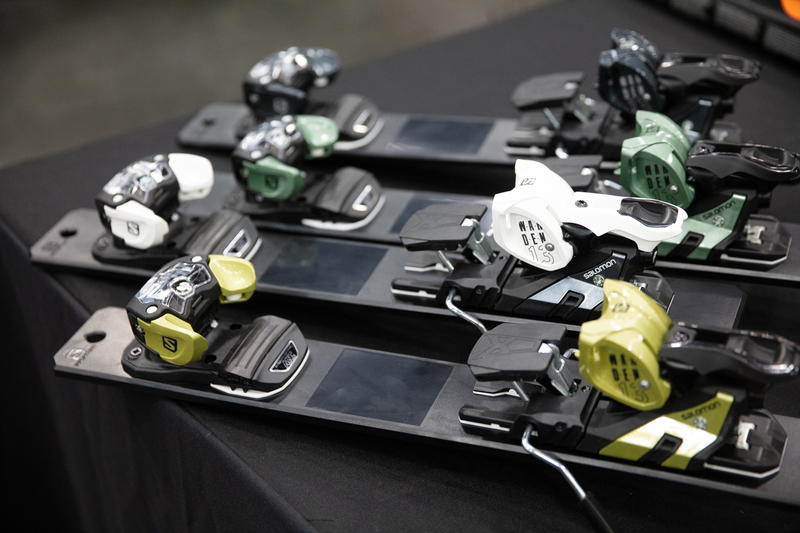 Two new options will be released, a PU version which will come in at a lower pricepoint at a small weight penalty. 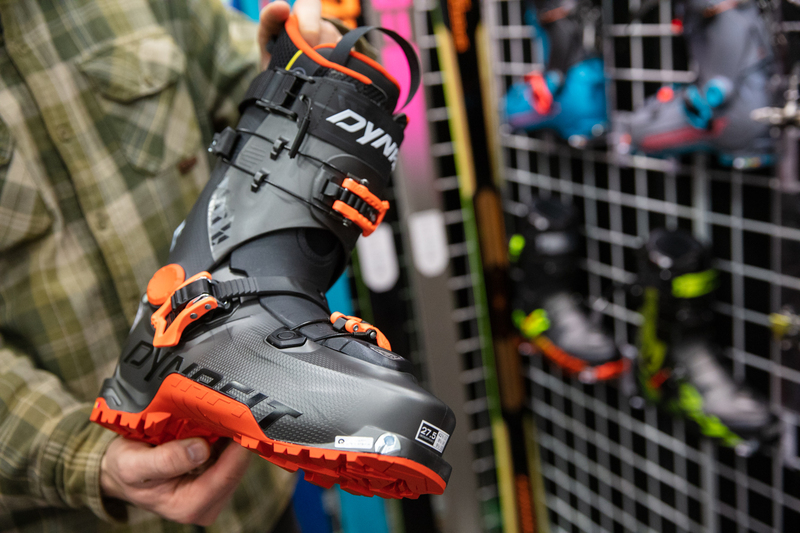 The other new addition is the stiffer Hoji Free, which will be compatible with alpine bindings thanks to the addition of a toe and heel lug, and features a liner from footbed maker Sidas. 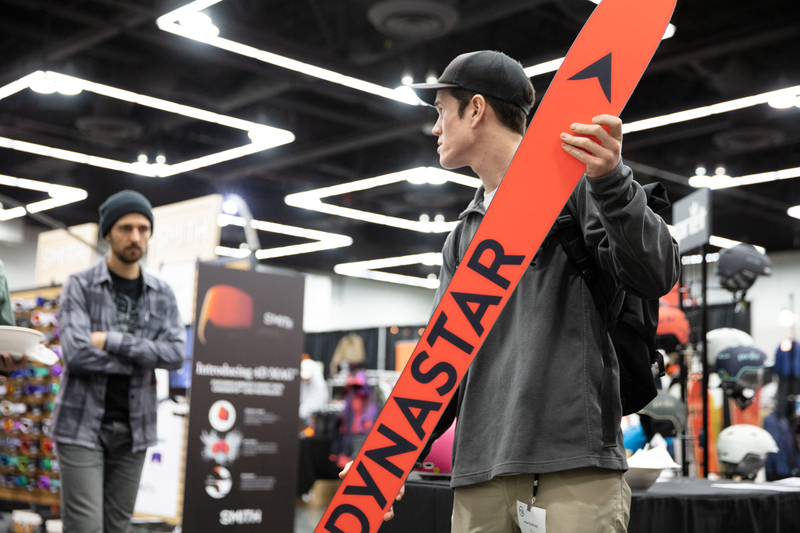 The Dynastar Legend lineup gets some sweet looking graphic updates - they’re looking clean and mean heading into the 2020 winter. 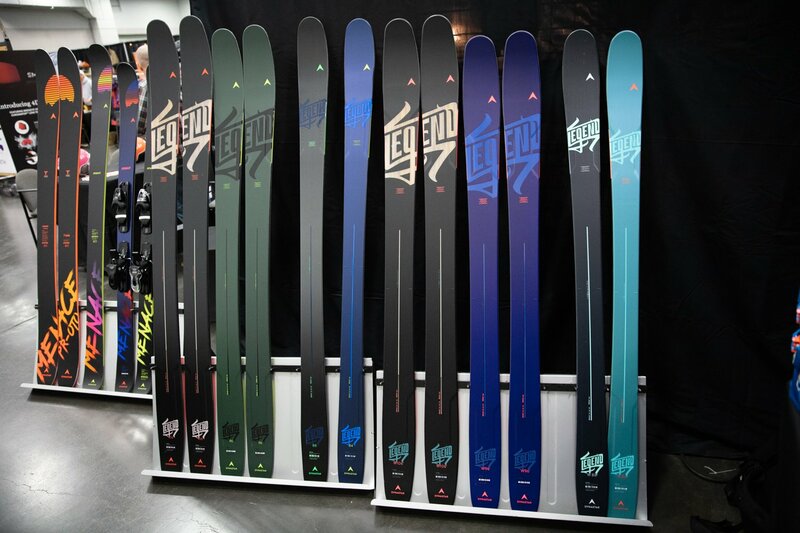 The Legend series is smaller, too, with the narrower skis being moved into the 4x4 series. 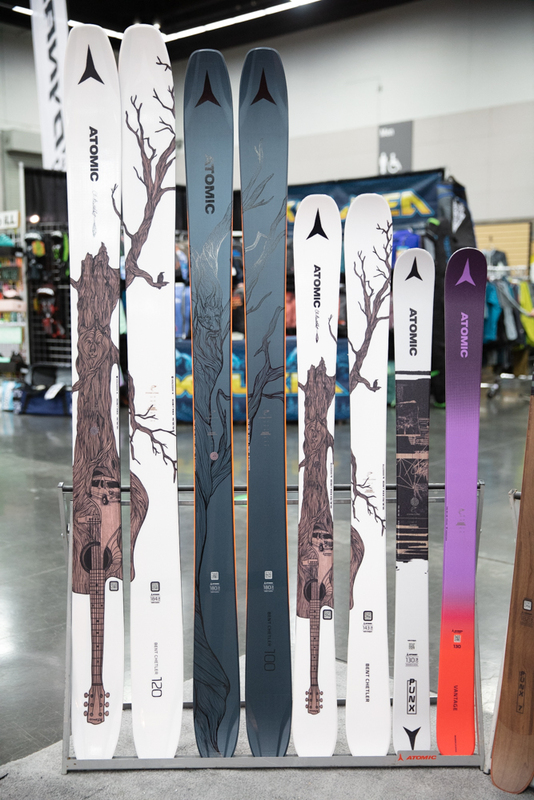 Inspired by Richard Permin, the Dynastar Menace Proto adds a shorter 180cm length to go with the existing 189cm. 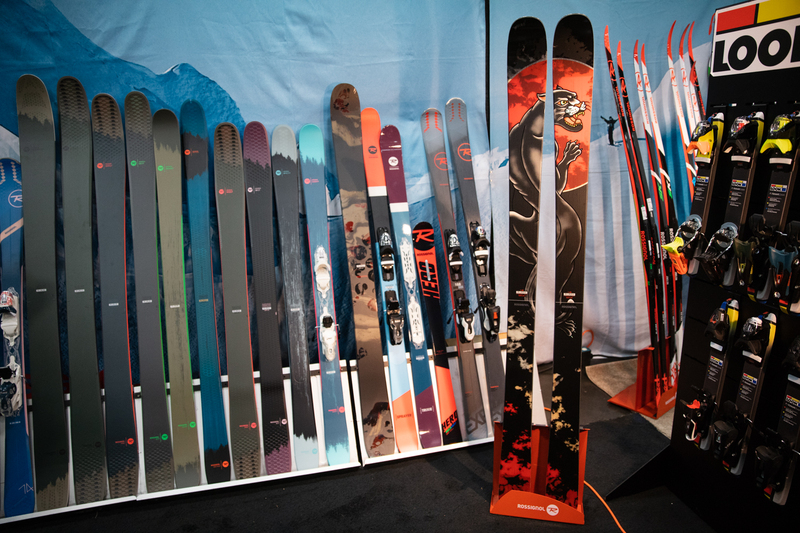 This will be an awesome ski for those looking for the great freestyle pow performance in a more maneuverable package. The Menace series as a whole replaces the Slicer series. 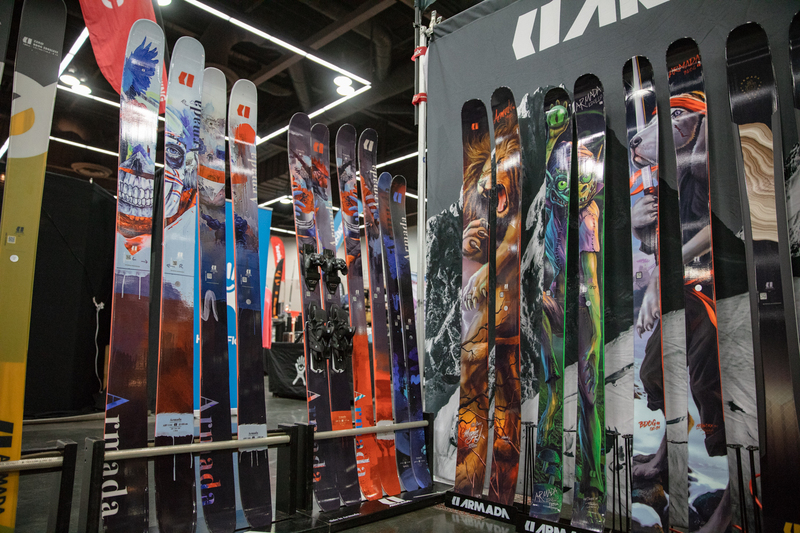 These skis are more jibby and freeride oriented than the Legends. 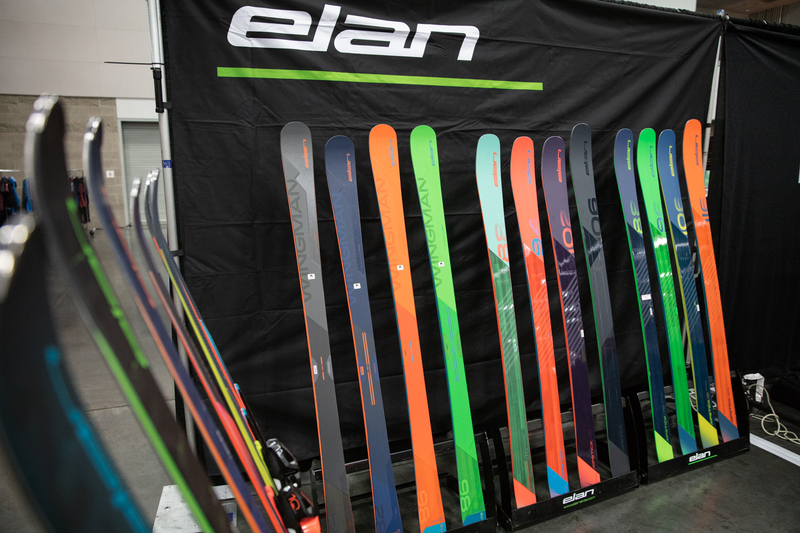 New to last year, the Elan “black” line expands for 2020 with additional models. With added carbon these lightweight rippers are all about high performance. 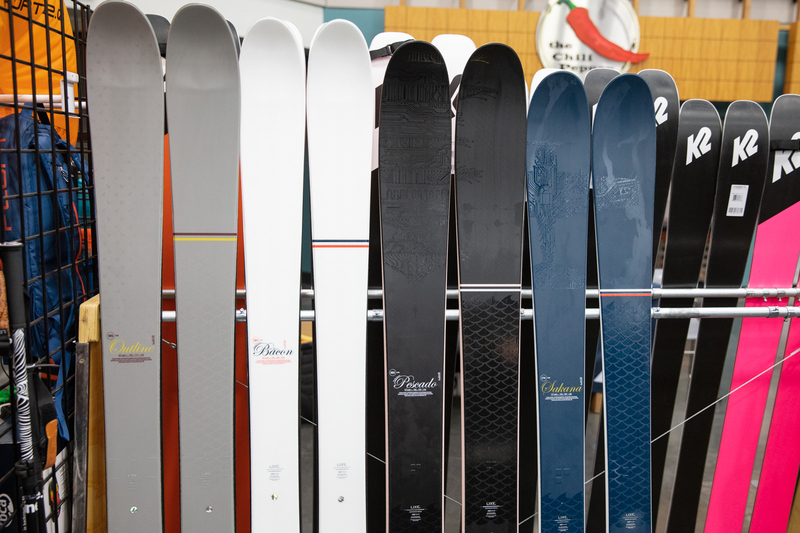 Elan also fully revitalizes their all-mountain frontside line - their unique Amphibio construction featuring unique left and right skis with cambered inside edges and rockered outside edges continues, but with new ski shapes called Wingman. 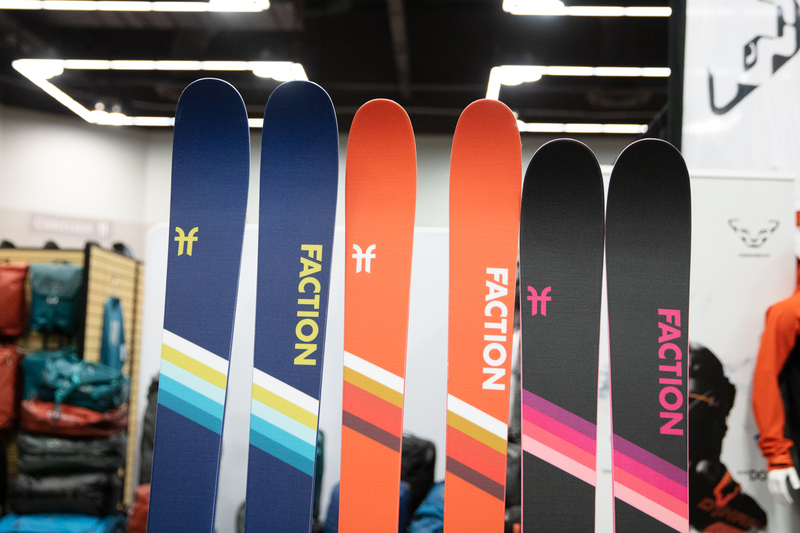 Faction brings some clean looks to their new 2020 skis, as well as some tweaks to shapes, and some new skis altogether. 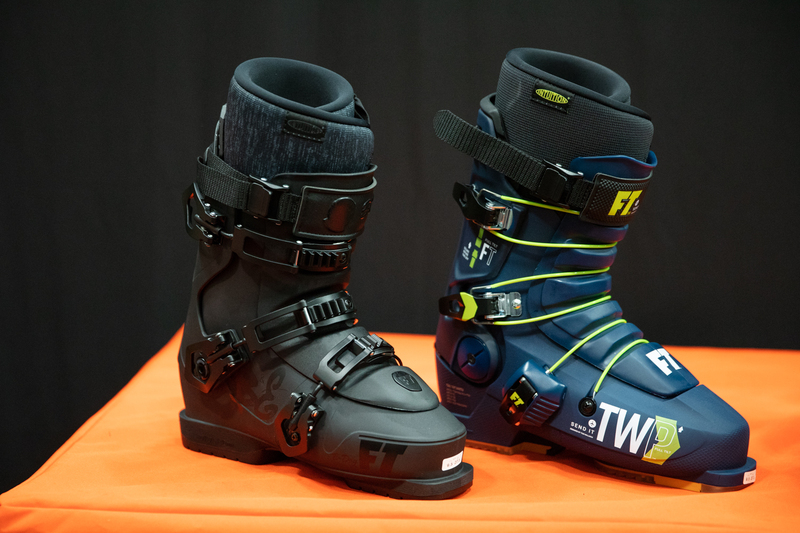 The 2020 Faction Dictator series 1.0 and 2.0 get shorter turning radii, making them a bit more manageable in tight spaces. 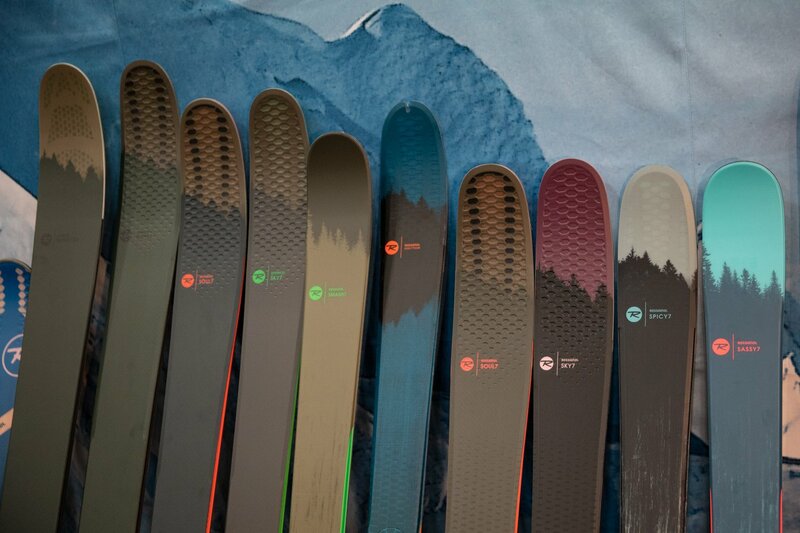 The Prodigy 2.0 gets a slightly new shape, while the Candide 3.0 and 4.0 get some new internal constructions. 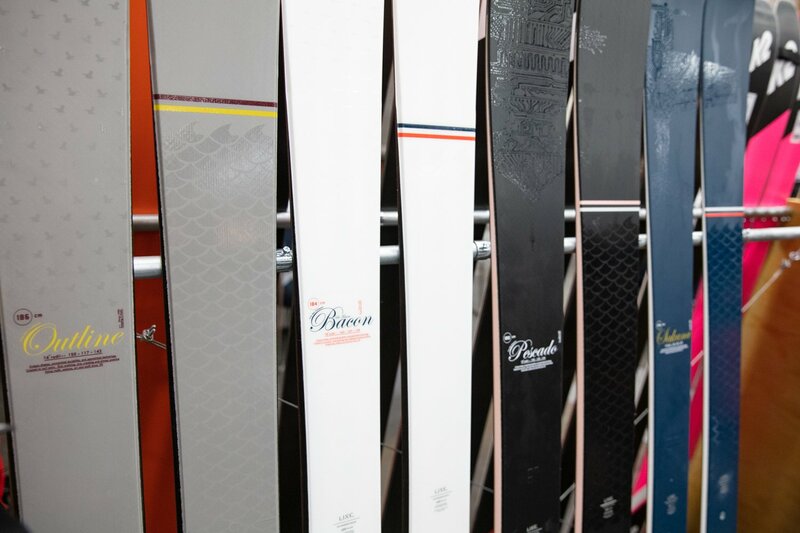 The character of these skis should all remain similar, while being more versatile and fun. The new Chapter takes the Dictator shape, but sheds the metal, making them more forgiving and lighter. 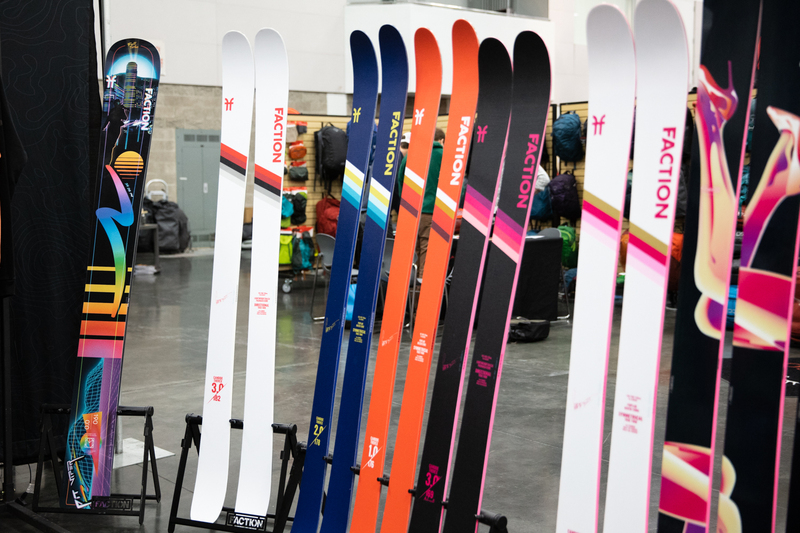 The 2020 Faction Chapter will be available in a 1.0 with an 86mm waist and 2.0 in a 96mm waist. 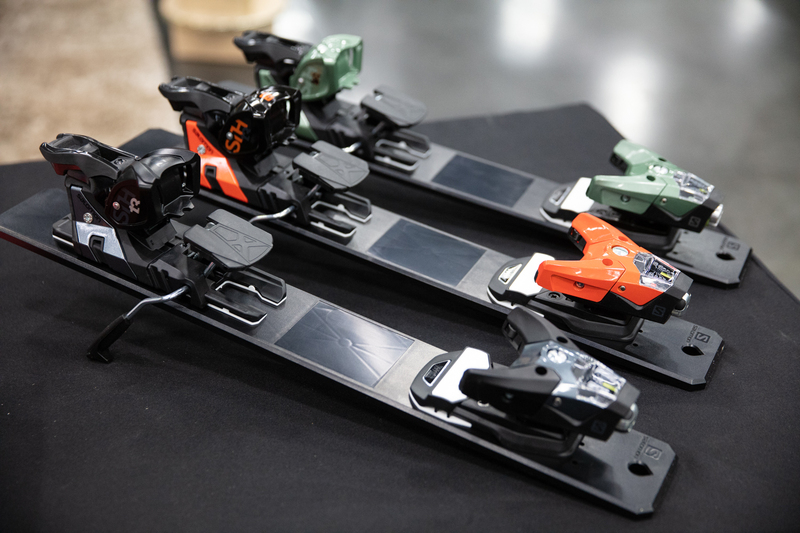 The Prime series has new mount points that are moved forwards, making the ski turn better. 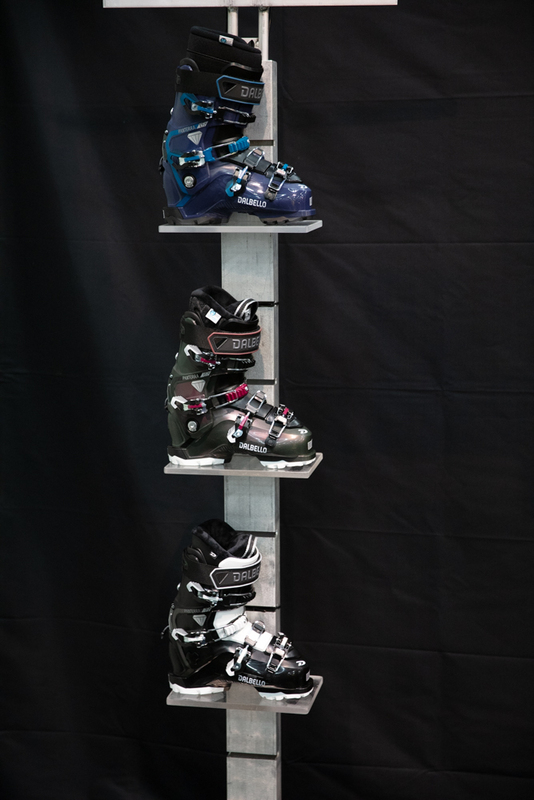 Upon its release, the Fischer Ranger ski boot series were a major hit. 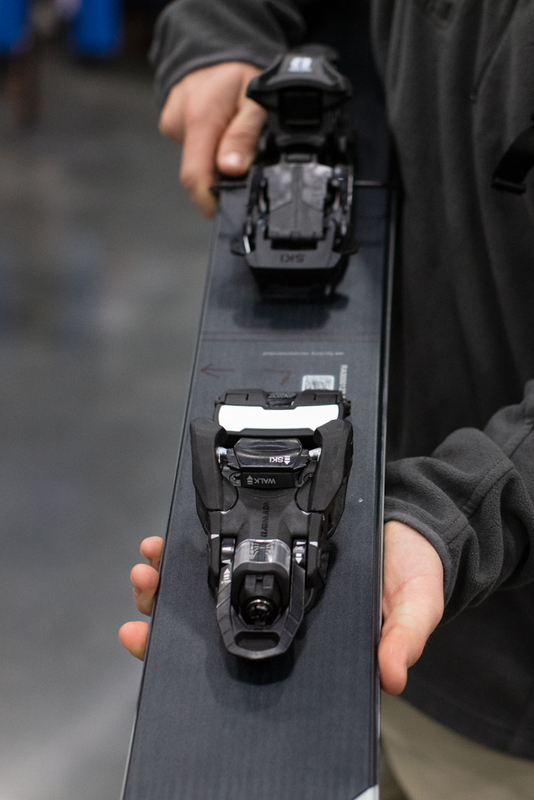 For 2020 this line expands with the new, wider, Ranger One - a Ranger Free with a 101mm last. 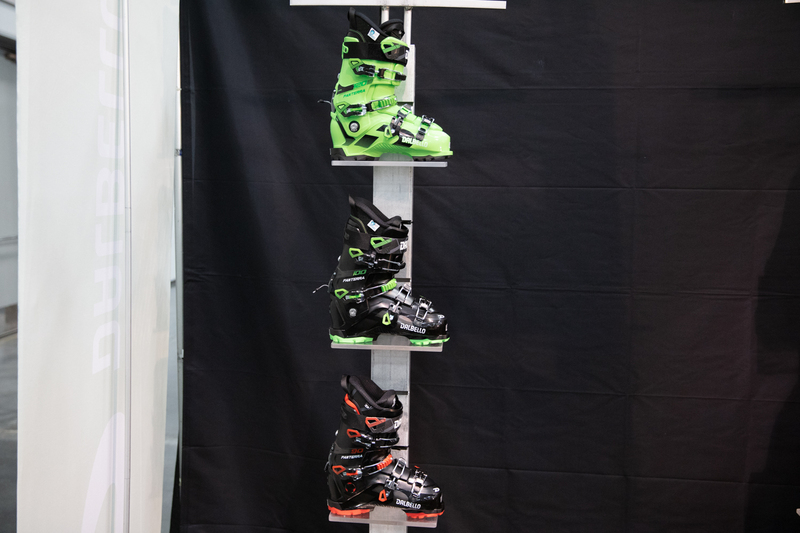 Tech fittings have also been added to softer flexing boots in the Ranger Free line, on the men’s 100 and women’s 90. 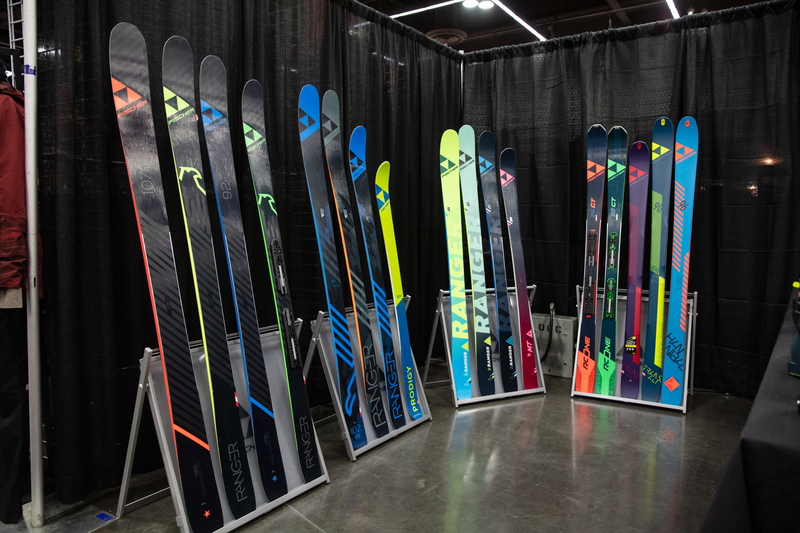 On the ski side, the 2020 Fischer Ranger Ti skis are new in 92, 99, and 107mm widths. 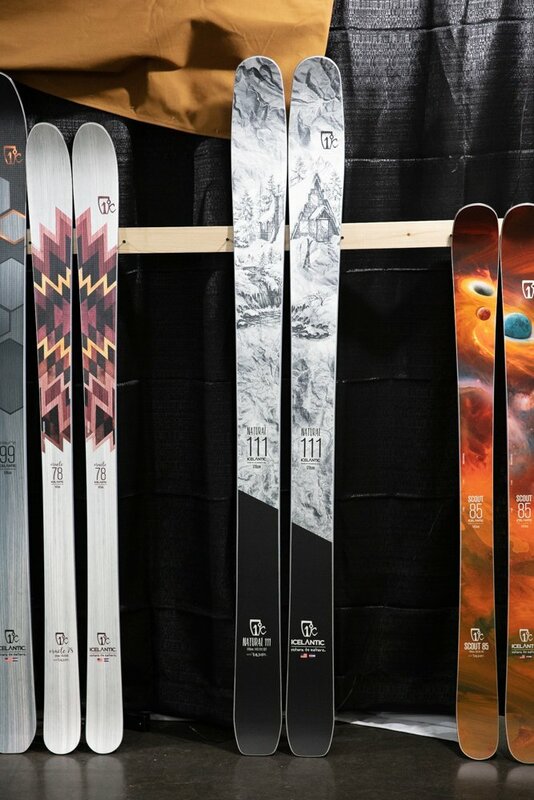 As the Ti label hints, these skis all feature metal in the layup, making for a damp, stable ride. 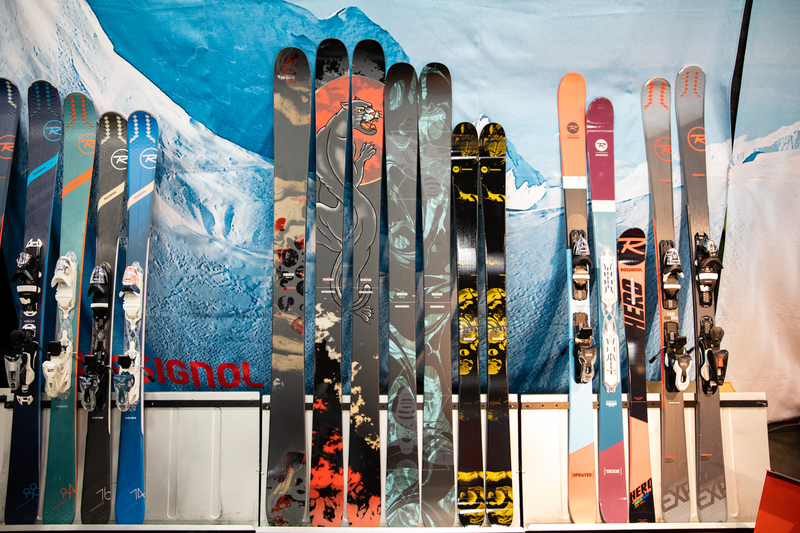 On the FR or freeride side, there is a new Ranger 94 FR and updates to the Ranger 115 FR. 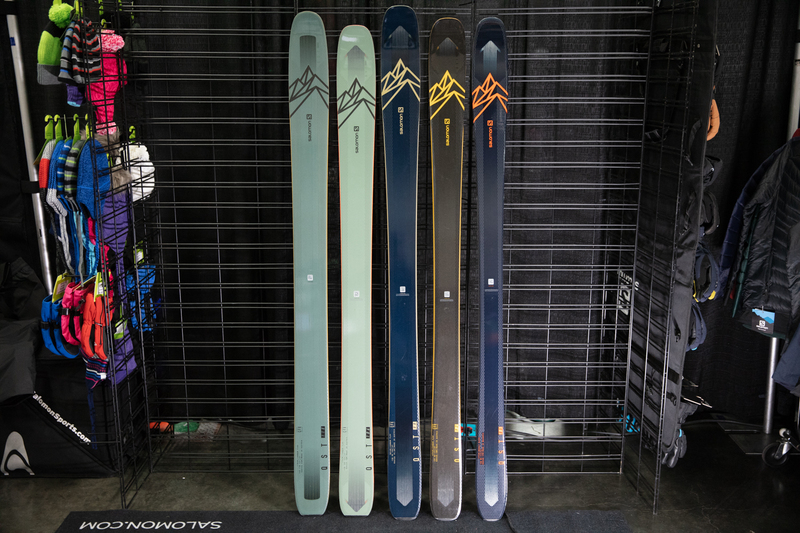 The softer flex makes them easier to ski and creates more of a difference between these and the Ti skis. 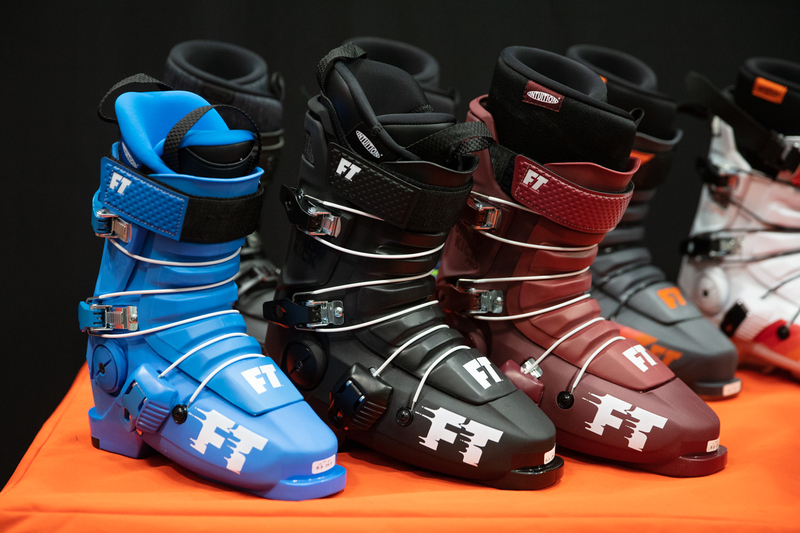 For the new year, Full Tilt has added to their classics, literally, with the new Classic Pro. 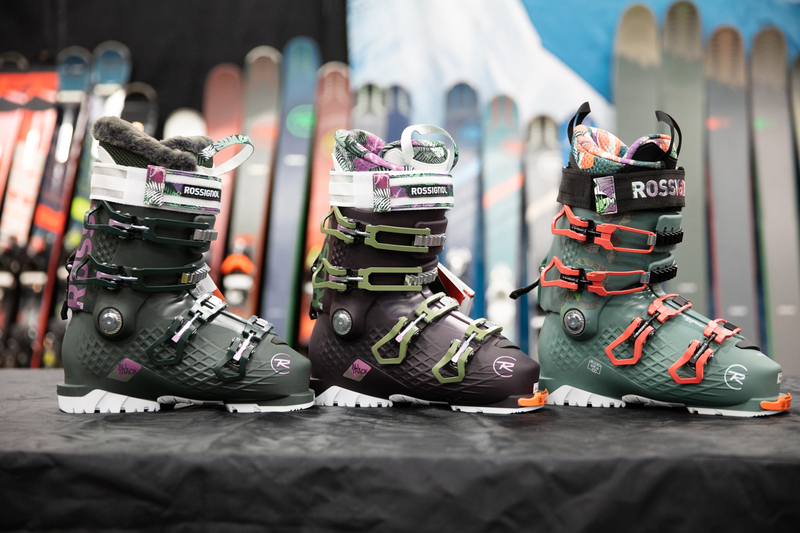 This boot will cater to the old-school Raichle Flexon lovers. 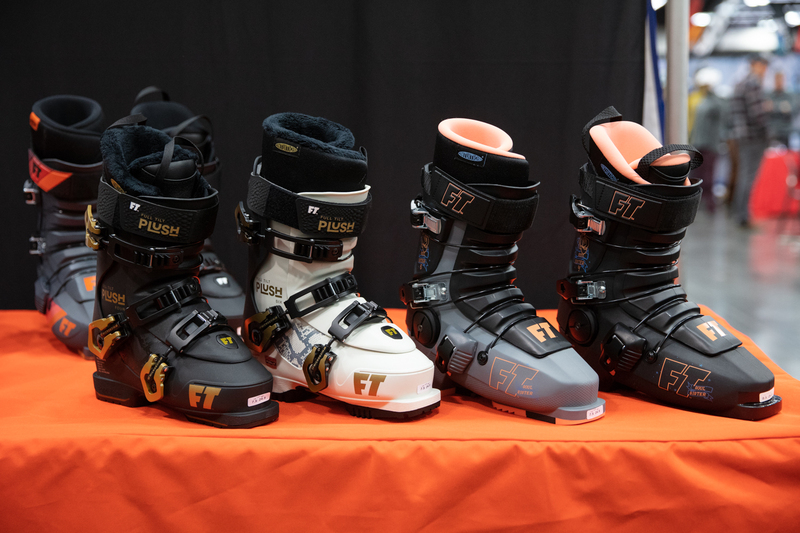 Across the rest of the 2020 Full Tilt ski boot lineup there are some updates, like new liners across all models, and color updates. 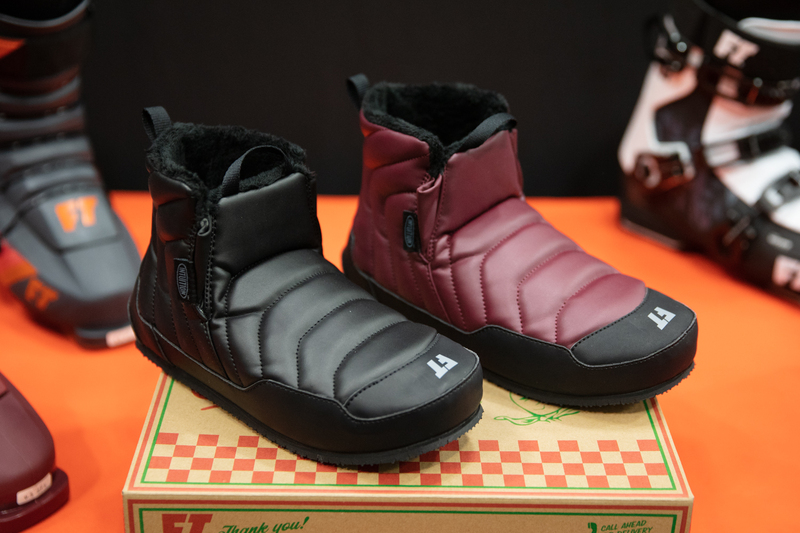 In addition to ski boots, Full Tilt unveiled the Apres Bootie, a sweet pair of kicks to get you to the mountain, or for just chilling in the lodge. 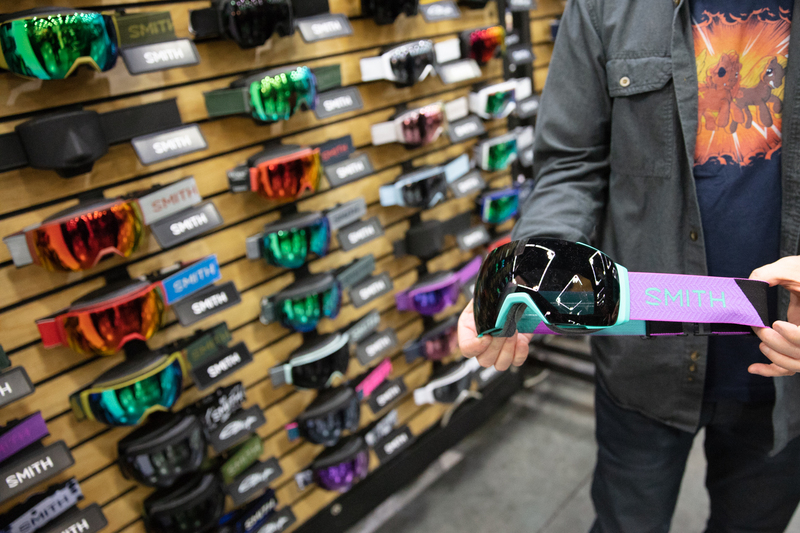 Giro is bringing lots of exciting new goggles and helmets into 2020. 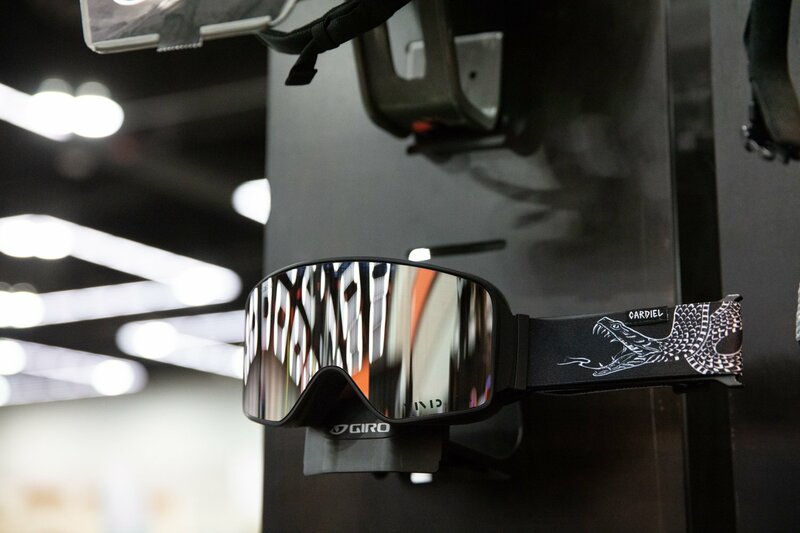 Magnets are becoming more popular with many brands, Giro included, helping make lens changes a breeze. Giro uses a combination of magnets and plastic pieces, where the magnets help line up the lens, but it still clicks in securely. 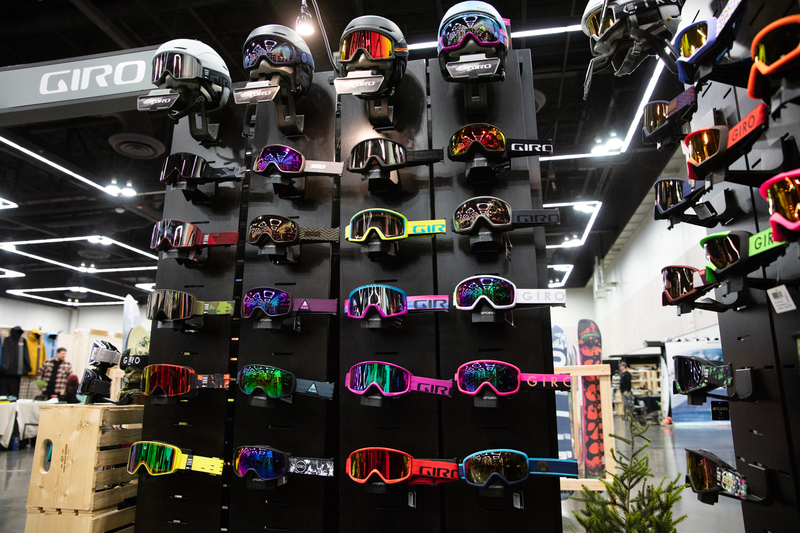 Five Giro goggle models feature magnets, the Contact, Axis, Ella, Agent, and Eave. Another exciting piece is the artists collaboration with skateboarding legend Cardiel. 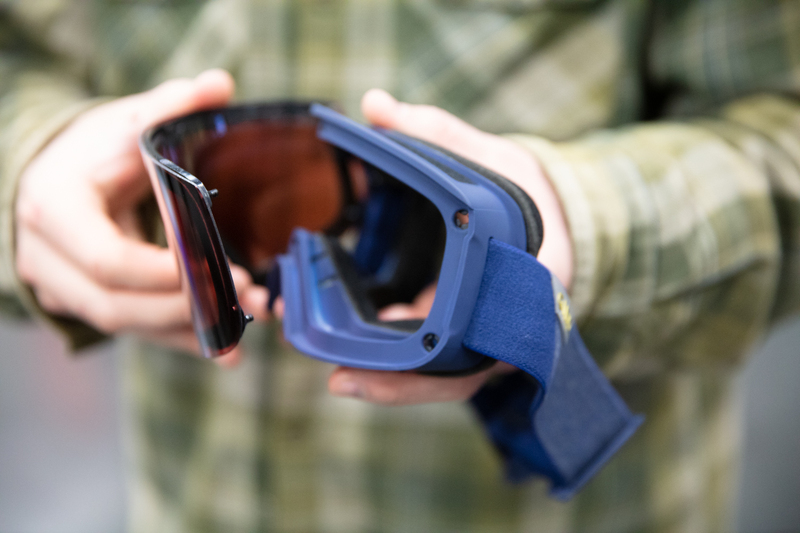 On the helmet side, Giro is using its exclusive spherical MIPS technology in the Emerge, check out the photos below for a cutaway showing how the technology works. This adds a nice layer of safety to the freestyle focused helmet. 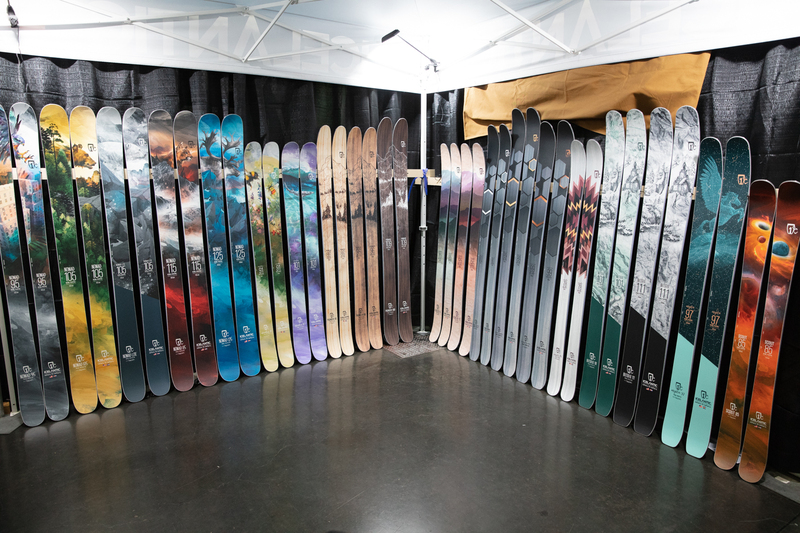 The big story with Icelantic’s new skis for the 2020 winter is new models for women. The new Icelantic Riveter Line has been built to mirror the men’s Pioneer line. 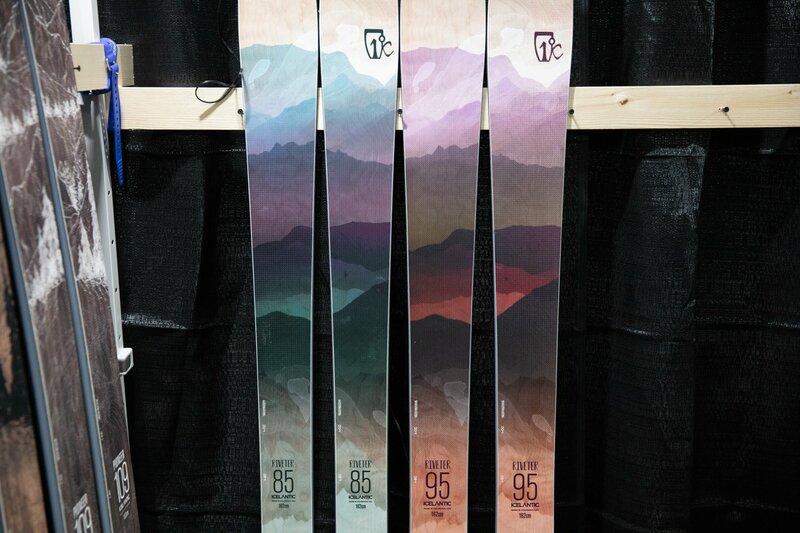 These cambered, chargey, all mountain skis will be available in 85mm and 95mm widths. In addition to the new Riveters, the Oracle 78 and Mystic 107 are also new. 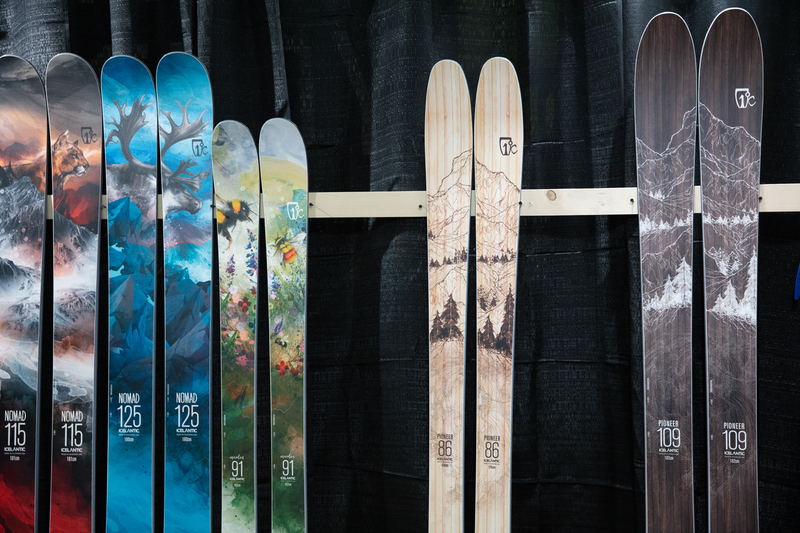 On the men’s side, a new skinnier Pioneer 86 is new, as well as a wider ski in the touring-focused Natural collection. 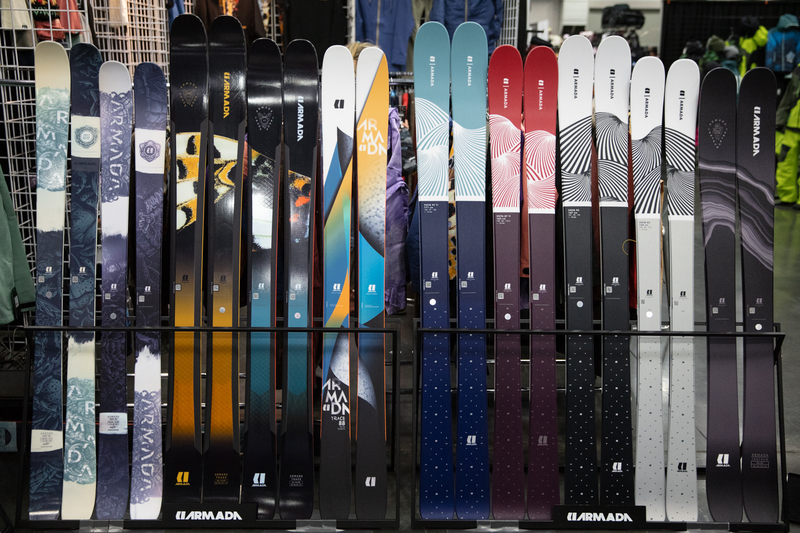 The Natural 111 gives skiers a fatter lightweight option. 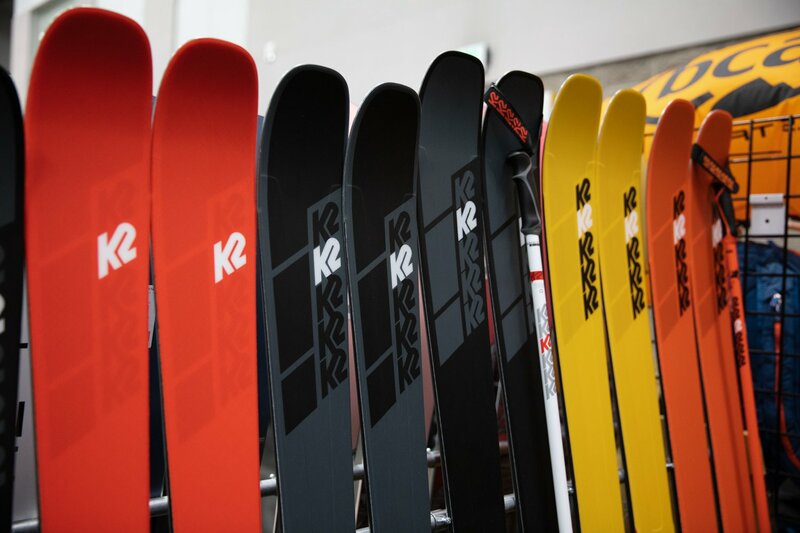 Some of K2’s most exciting new skis have already launched, with the arrival of the 2020 K2 Mindbender Series. 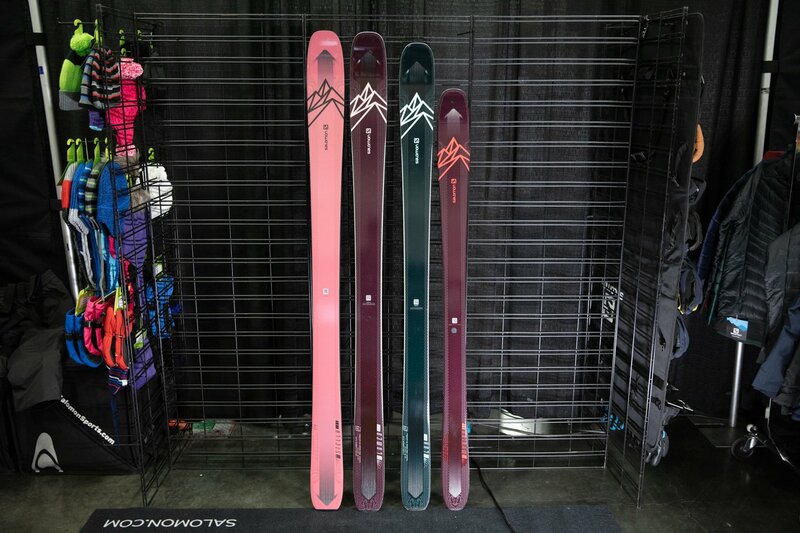 These skis are definitely a departure from the old all-mountain Pinnacle series, featuring a variety of chargy catbon and metal layups. These are big mountain rippers for sure. 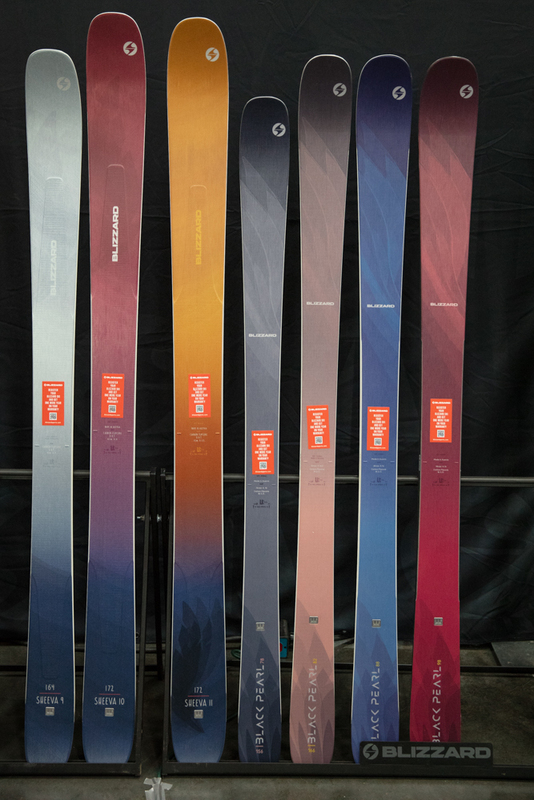 The Mindbender Series will be available in several waist widths, from 85mm all the way up to 116mm, in both men’s and women’s models. 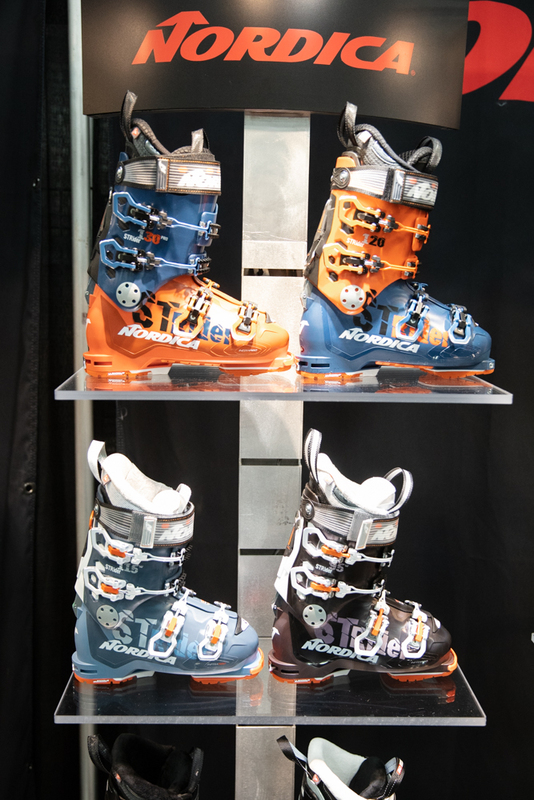 The new Mindbender Series of boots is the perfect compliment to the skis. They have both alpine and tech compatibility, GripWalk soles, and come in 130, 120, and 100 flex for men and 110 and 90 flex for women. They have a 50 degree range of motion in the cuff, with the Mindbender 130 in a 26.5 coming in at 1675 grams. 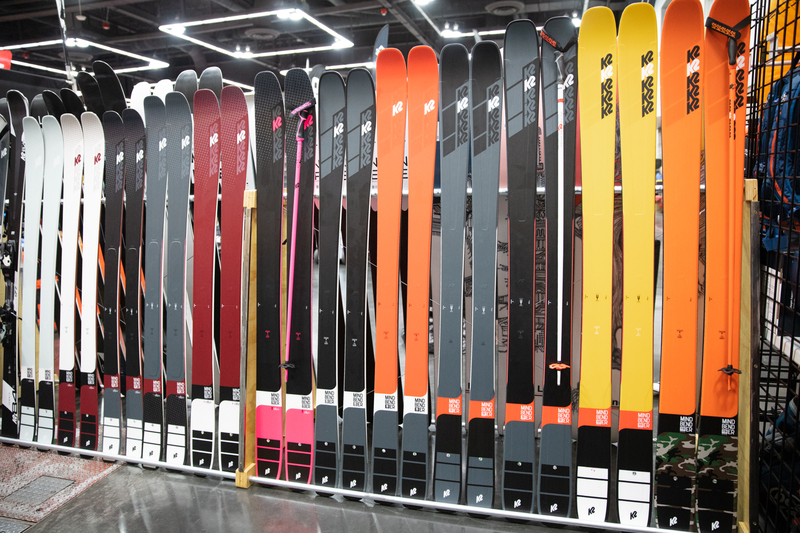 Together, the Mindbender skis and boots are some of the most exciting skis and boots to come from K2 in years! 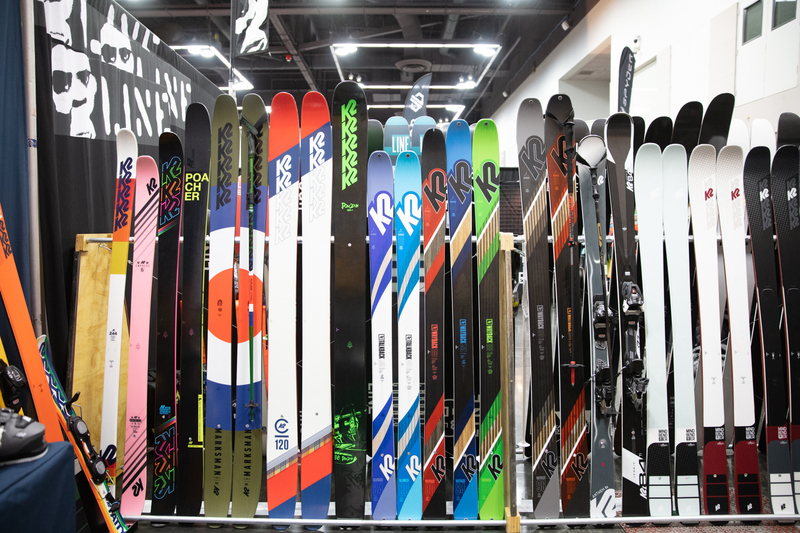 With a whole new line, Liberty is coming into the 2019 - 2020 winter hot. 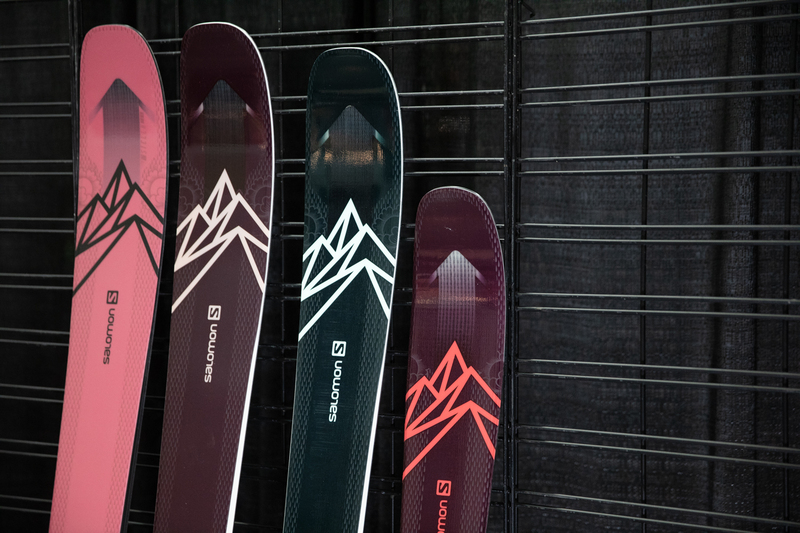 The new Evolve series combines attributes from the carving and hard snow oriented VMT line and the more freeride oriented Origin line. The result? 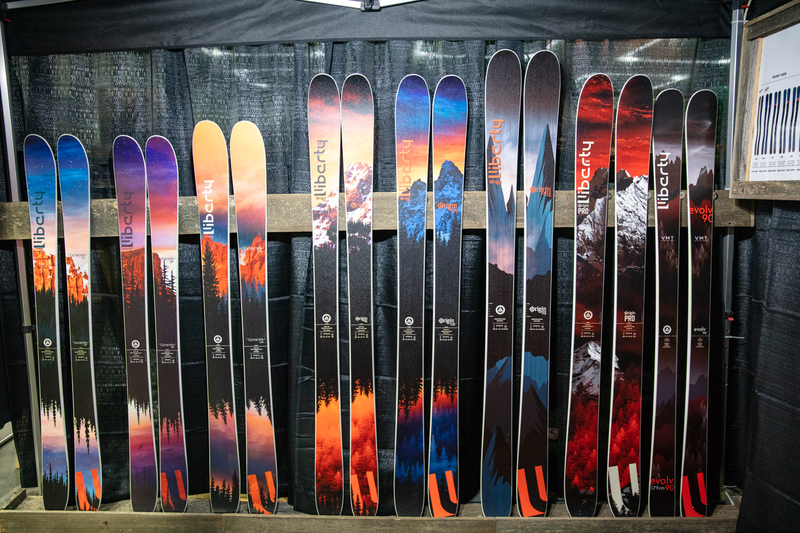 The Liberty Evolve 90 and 100. 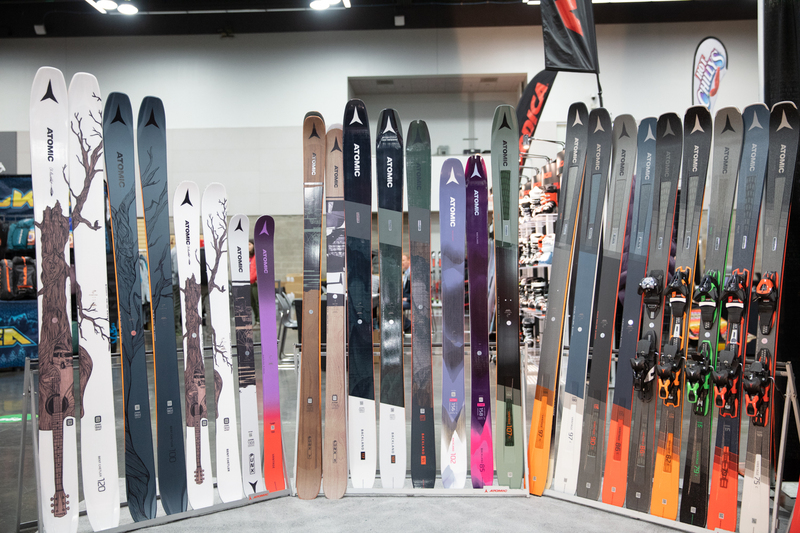 These look to be great go anywhere all-mountain skis. 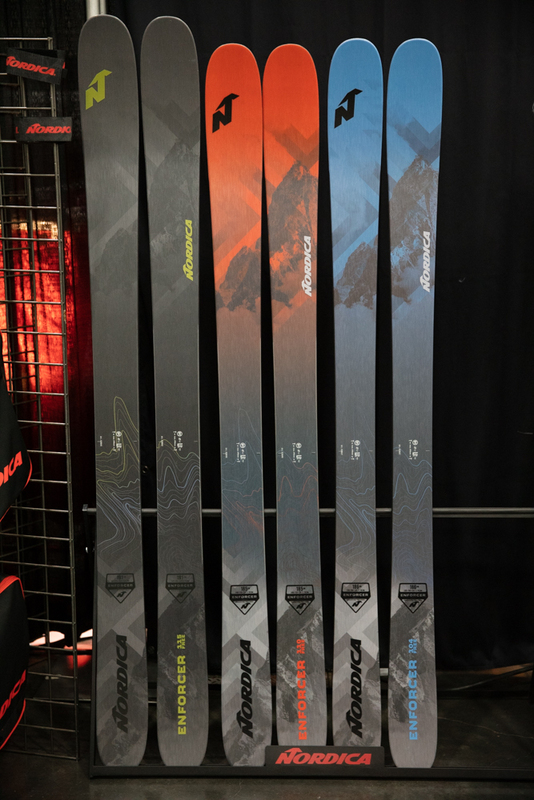 The Origin 106 also gets some small tweaks, with a slightly flattened out rocker profile, this should mean better hard snow performance. 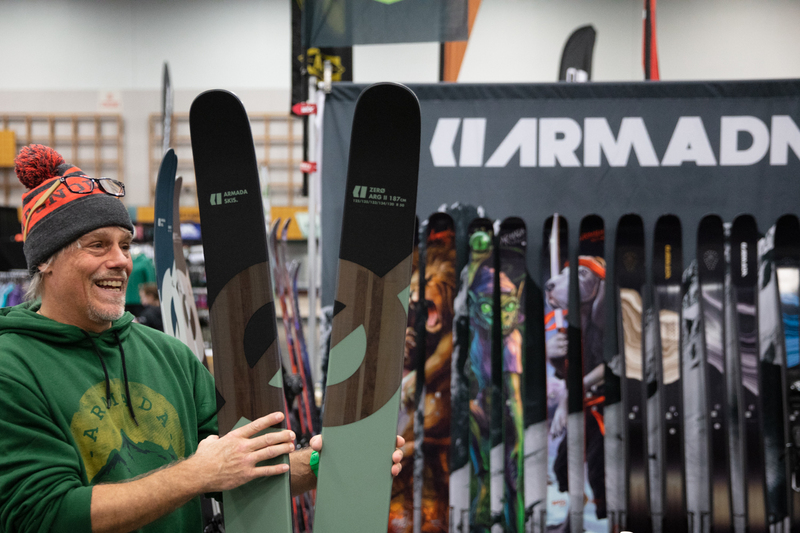 Line has some super exciting new 2020 skis as well as tweaks to existing favorites like Eric Pollard’s collection of skis. 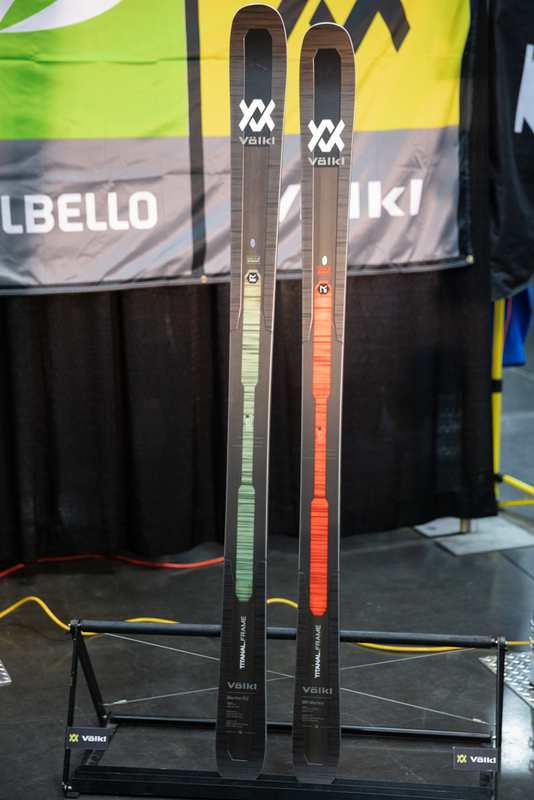 The new Line Vision series brings two waist widths, 98mm and 108mm, of lightweight touring skis to the lineup. 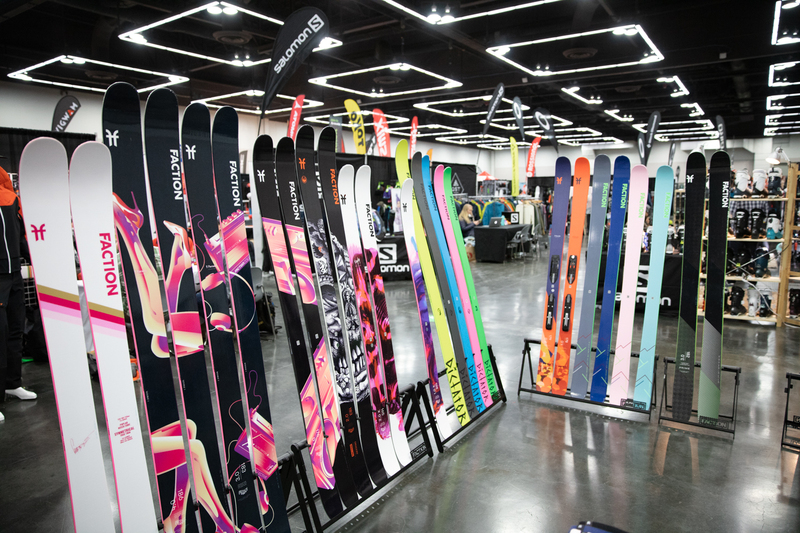 The shapes of these skis fall more into the directional category, like the Sick Day series, rather than the freestyle side. 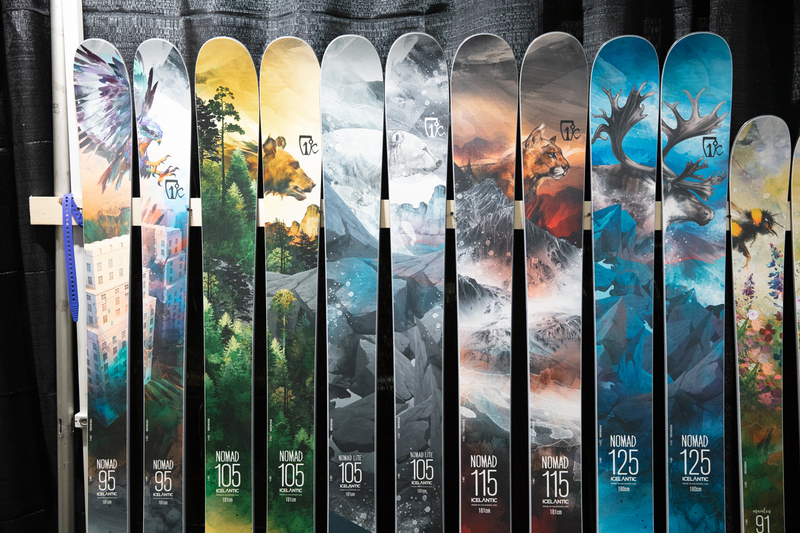 In the 183 length, the Vision 108 weighs a mere 1605 grams per ski, with the 98 coming in at 1515 grams per ski in a 179cm length. Now that is light! The Eric Pollard Collection becomes more refined, with the Mordecai and Magnum Opus being replaced by the 2020 Line Outline. The Outline comes in a 117mm waist, with a convex base shape on the tips and tails. This convexity carries down to the all new 2020 Line Sir Francis Bacon, too, which also gets a new shape and a 107mm width. Compatibility. 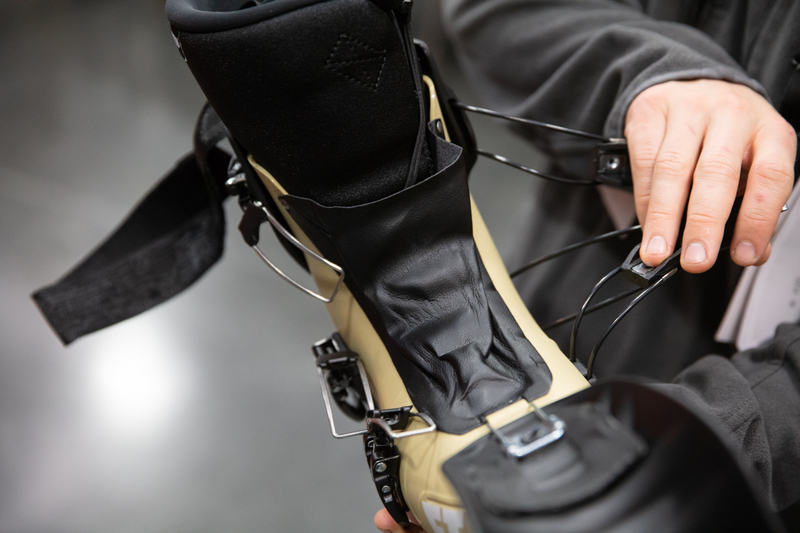 How often have we talked about this with ski bindings over the past several years? The industry is finally landing on a consistent platform across all brands - GripWalk. 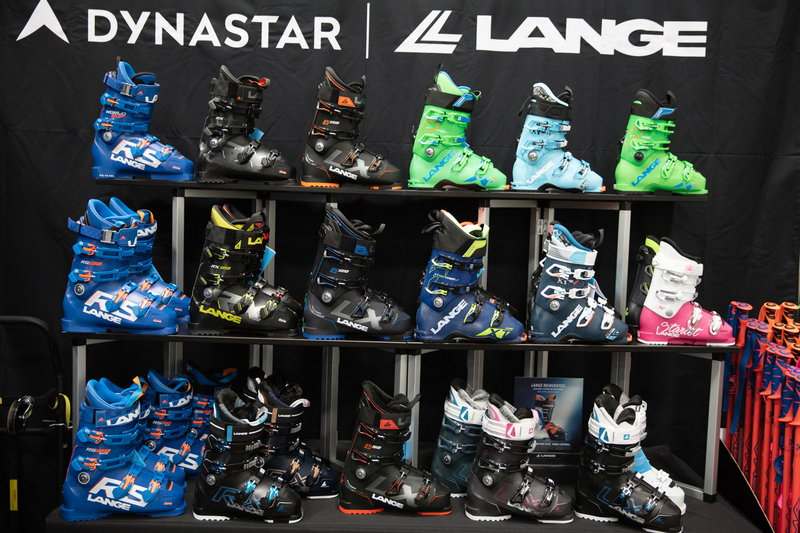 The majority of Look bindings are GripWalk compatible for 19/20, including the legendary Pivot 18, making it compatible with popular GripWalk or Alpine sole equipped freetour boots from Lange, Rossignol, Tecnica and more. 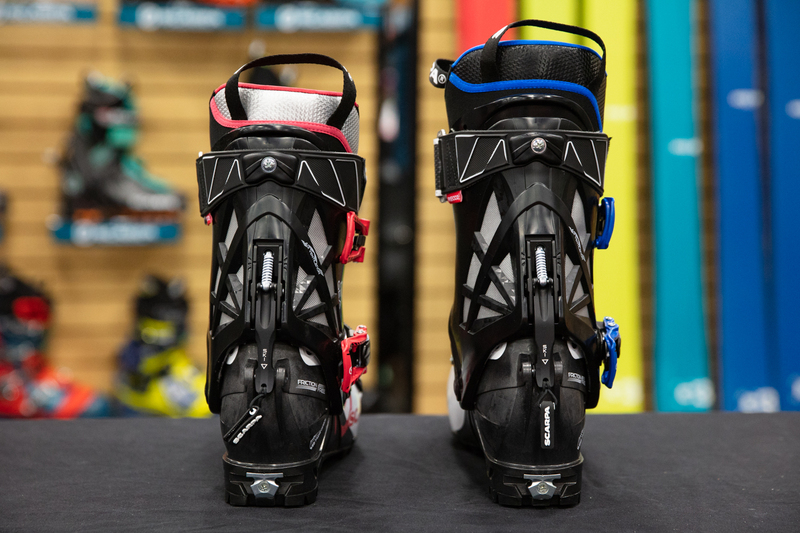 For 2019/20, Marker introduces the Kingpin M-Werks 12, a bombproof, lighter-weight version of the popular Kingpin touring bindings. 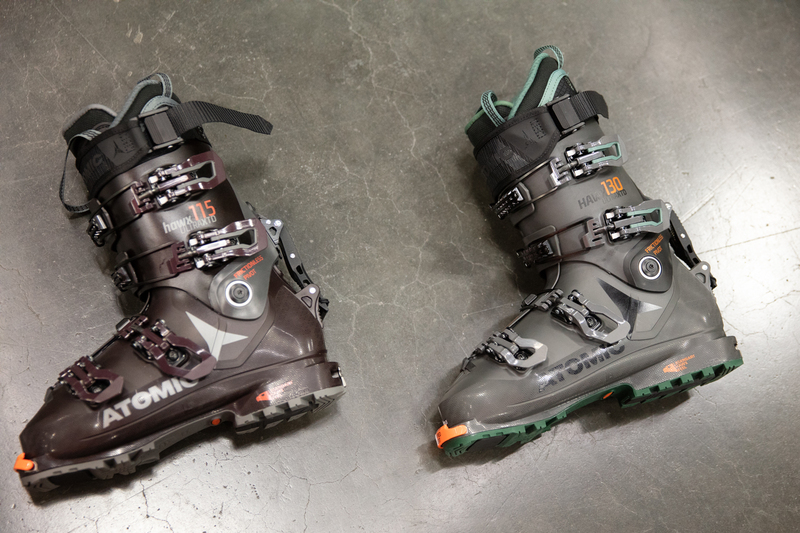 Kingpin M-Werks uses a toe design taken from the lightweight Alpinist bindings with fewer springs than the regular Kingpin. 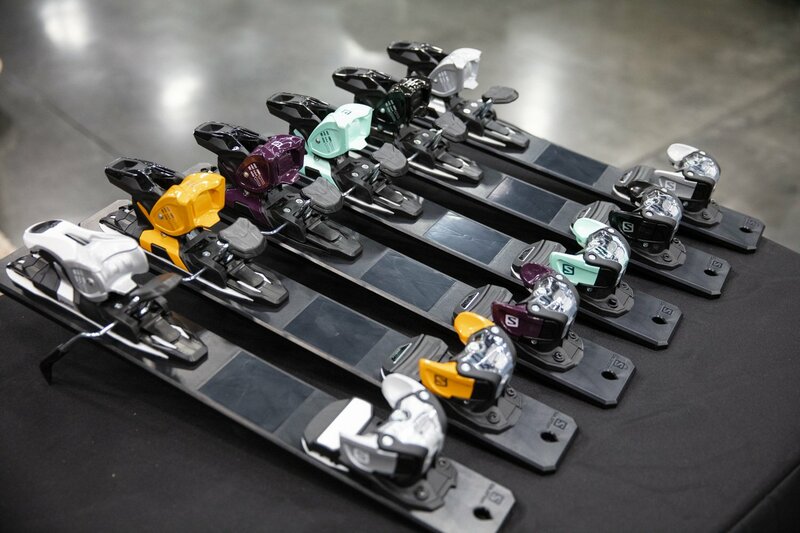 M-Werks improves on Kingpin with better power transmission and a significantly lower weight thanks to the stiffer, carbon-reinforced design of the toe and heel, along with thoughtful design touches like thinner levers. 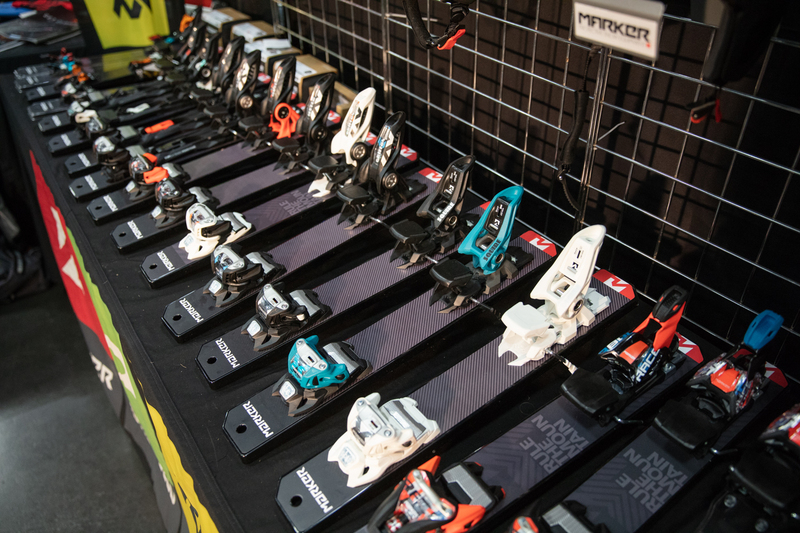 It’s also worth noting that Marker offers the broadest range of both adult and junior GripWalk compatible bindings on the market. 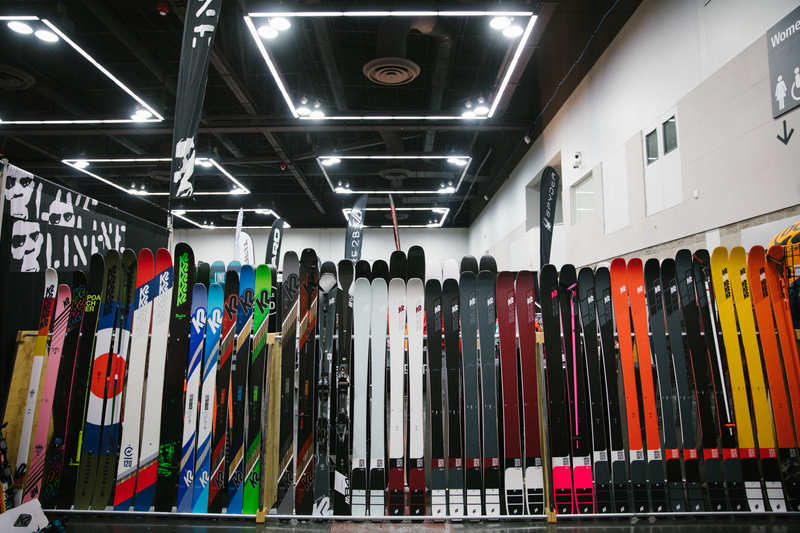 Less compatibility issues, more skiing. 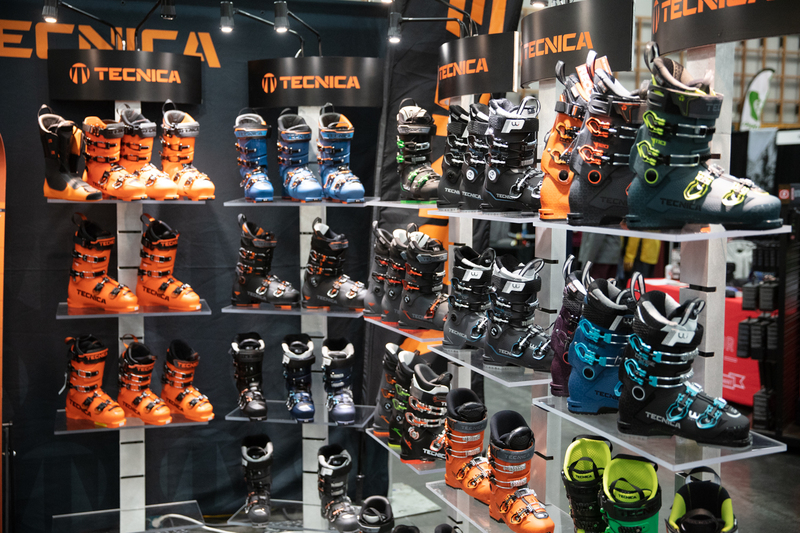 2020 Nordica Skis & Ski Boots Nordica builds on the success of the Enforcer series with some new models and subtle changes to the existing skis. New to the line is the Enforcer 99 and Enforcer 104 Free. 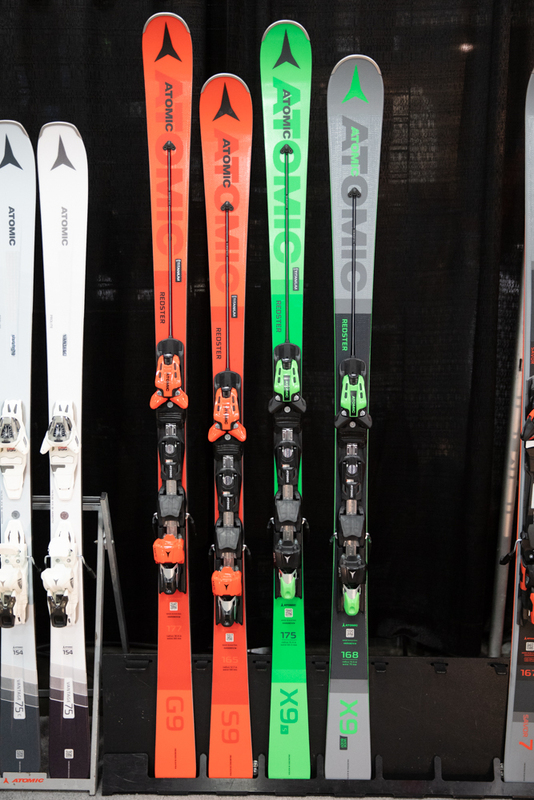 The 104 Free features a carbon layup that makes it lighter and more stable at the same time. 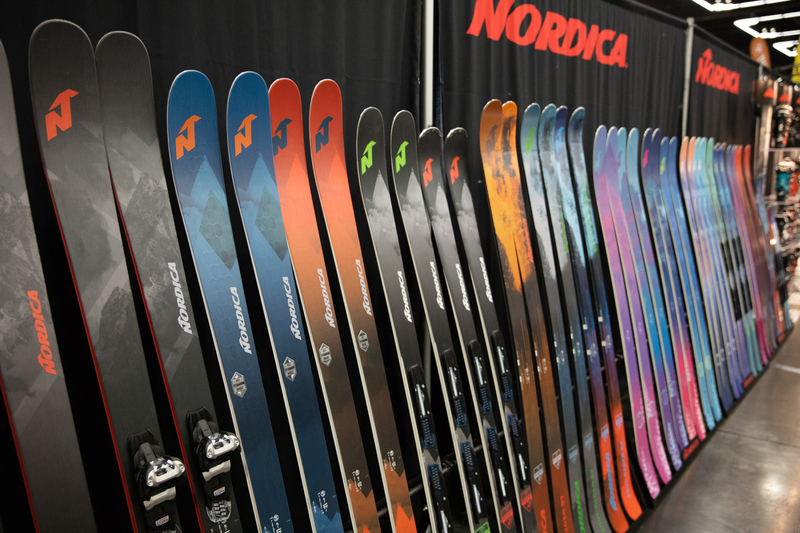 Meanwhile the 2020 Nordica Enforcer 110 and 115 get extended rocker profiles. 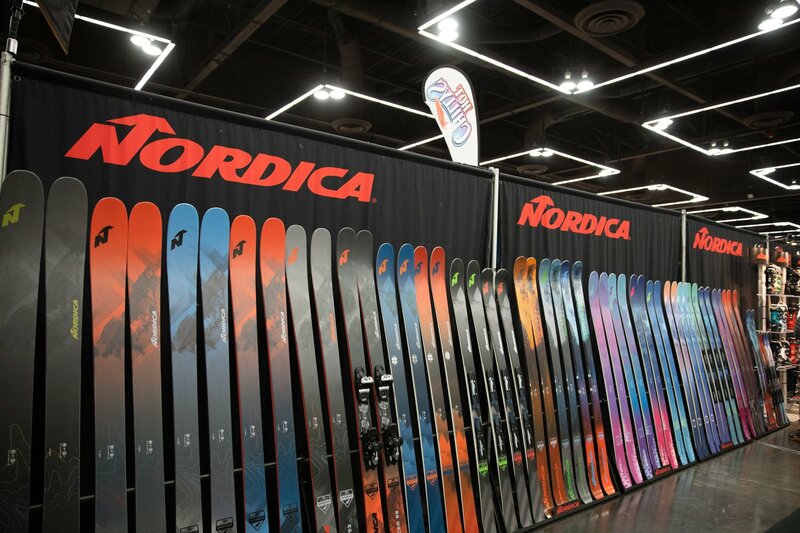 On the women’s side, Nordica is introducing the Santa Ana 88. This adds a narrower waist width perfect for regions like the East Coast. 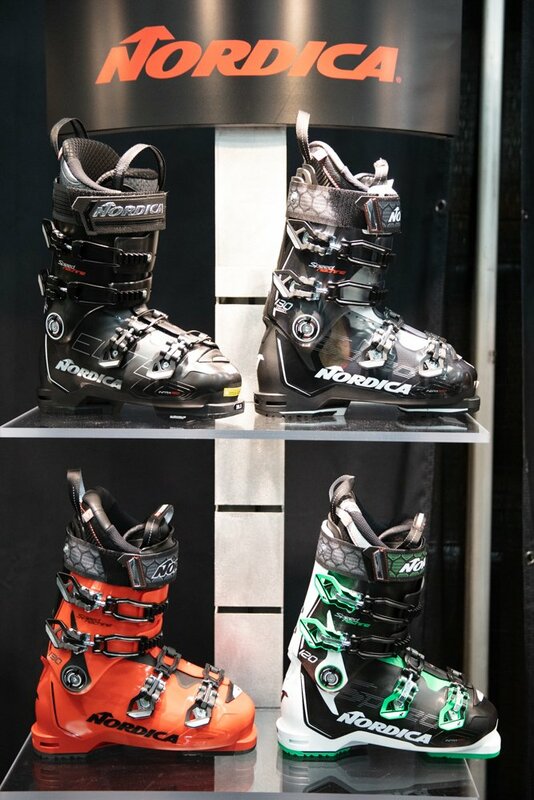 As for ski boots, Nordica has made some tweaks to existing models and introduced some new models, too. 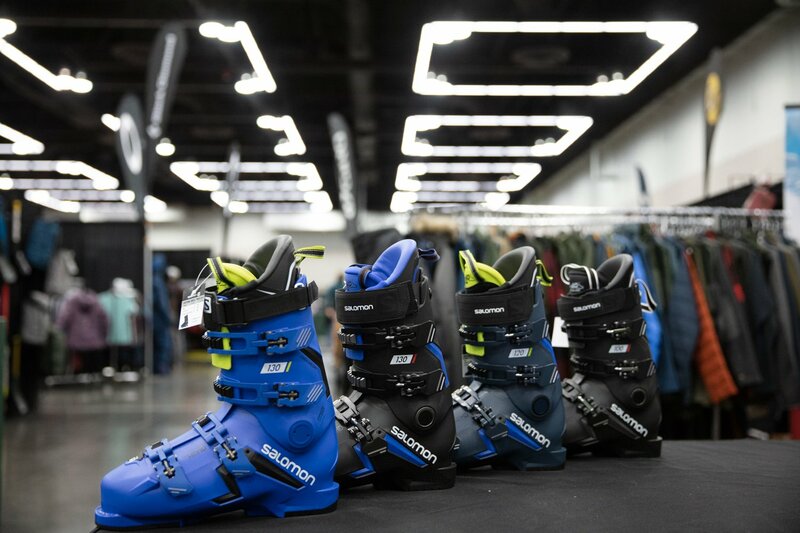 Boots in the Pro Machine line get cork liners, and the Strider boots get tech fittings in all four models. 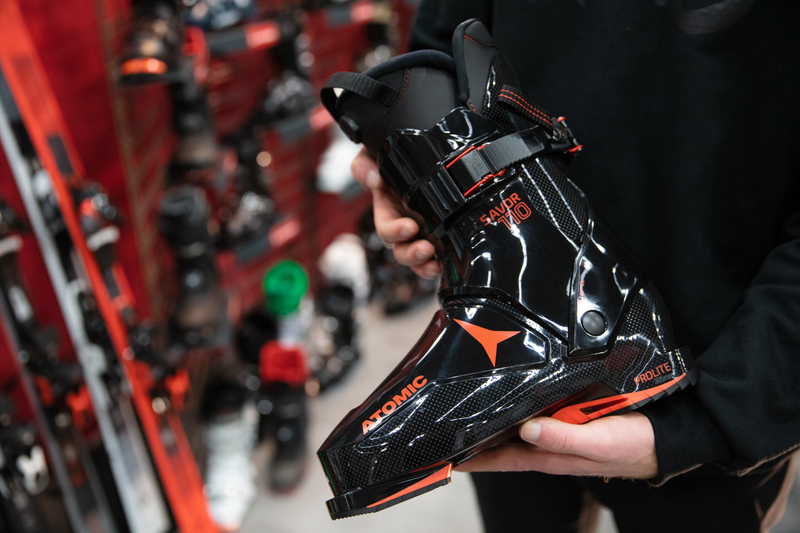 New to lineup is the Speedmachine Elite ski boots, featuring a carbon cuff, and the wide Cruise series ski boots with a 104mm last for wider feet. 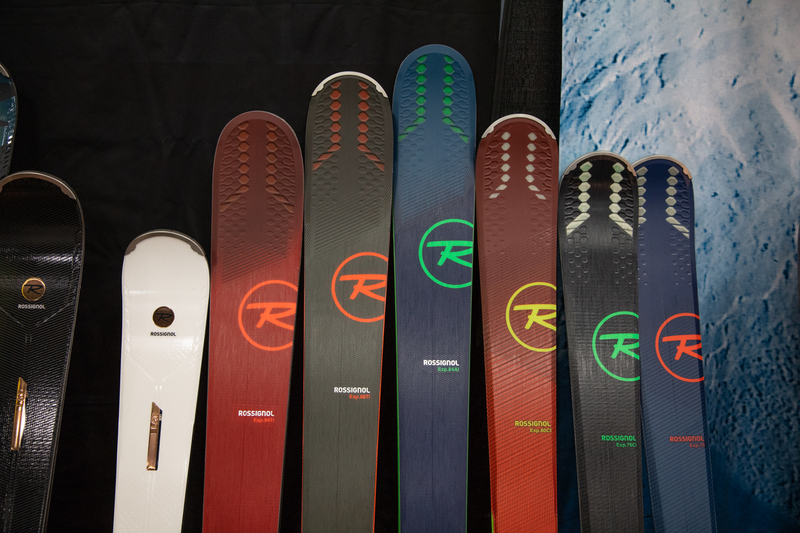 The Rossignol Black Ops series of skis came out a couple years ago in limited quantities and shrouded in secrecy. This year, the Blacks Ops line not only expands, but will be more widely available. 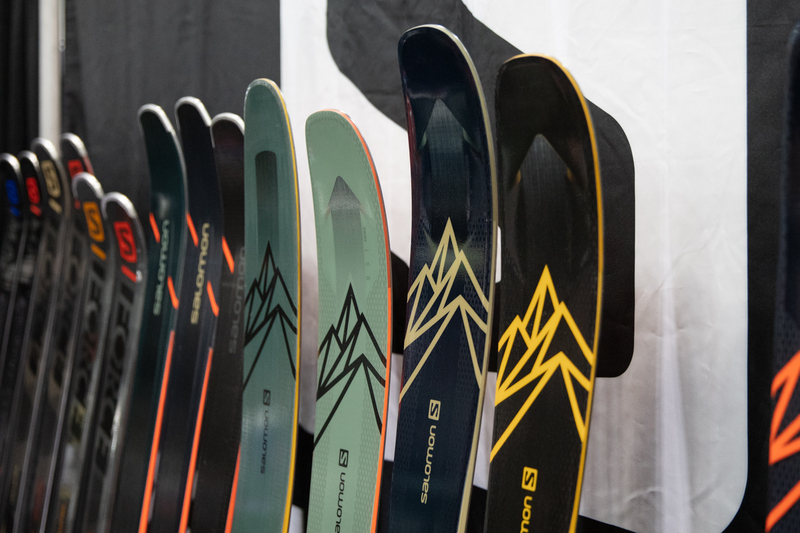 Inspired by big mountain skier Tatum Monod, the 2020 Rossignol Blacks Ops 98 W joins the lineup, bringing it to a total of four skis: The Black Ops 118, Black Ops 98, Black Ops 98 W, and Black Ops Pro. 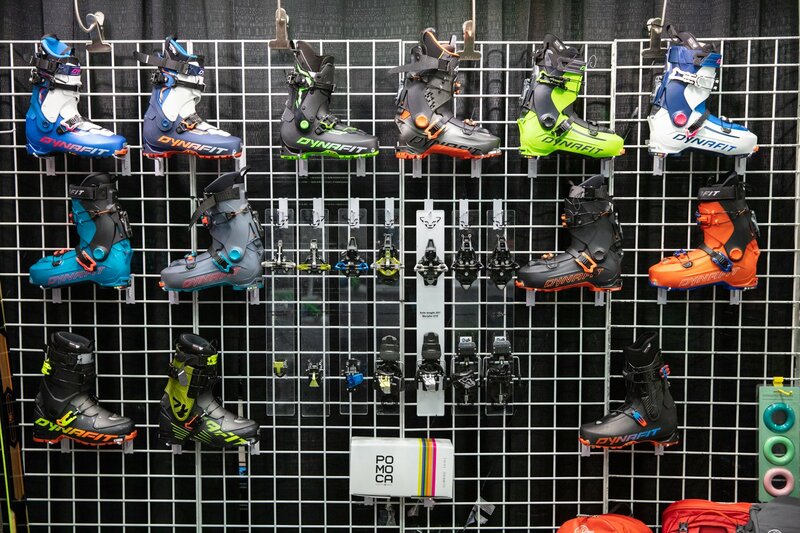 Granted, it’s hard to follow up on the splash a binding like the Shift made this season, but Salomon continues to keep the pedal to the metal on product development. 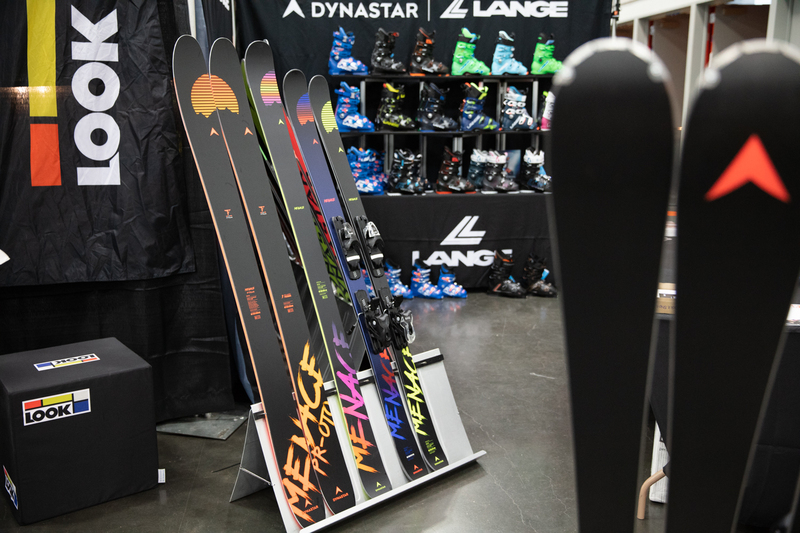 The award-winning QST skis see a full revitalization, with new cork damper inserts (replacing the Koroyd of current models) and an updated shape that’s more stable and smooth in off-piste terrain. 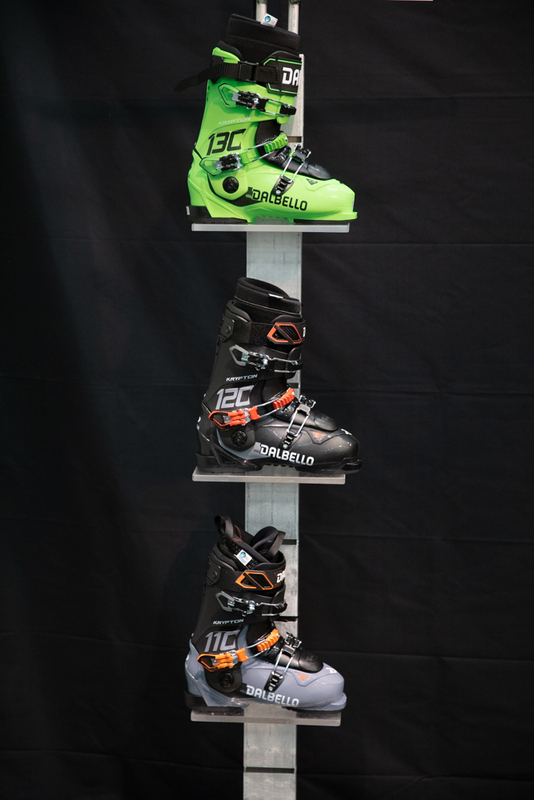 Perhaps even bigger news is the all new line of S/Pro boots, replacing X Pro, the best-selling ski boots in the world. S/Pro builds on the cutting edge two-piece Coreframe architecture of S/Max (formerly X Max), pushing premium fit adjustment, comfort and control to new levels. 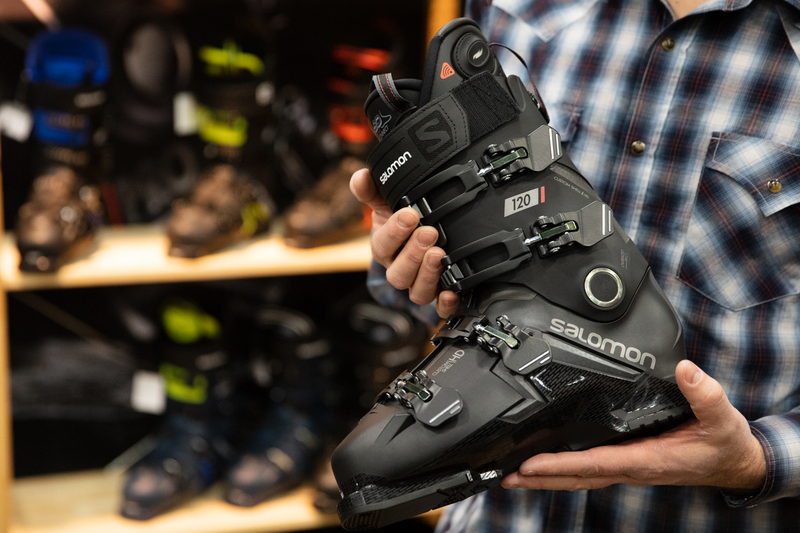 Total shell and cuff customization, premium power transmission and a smooth, even flex in boots that come in under 1800 grams… Salomon’s also leading the charge on heated ski boots - 5 available models feature top-of-the-foot heat, all controlled from your phone. 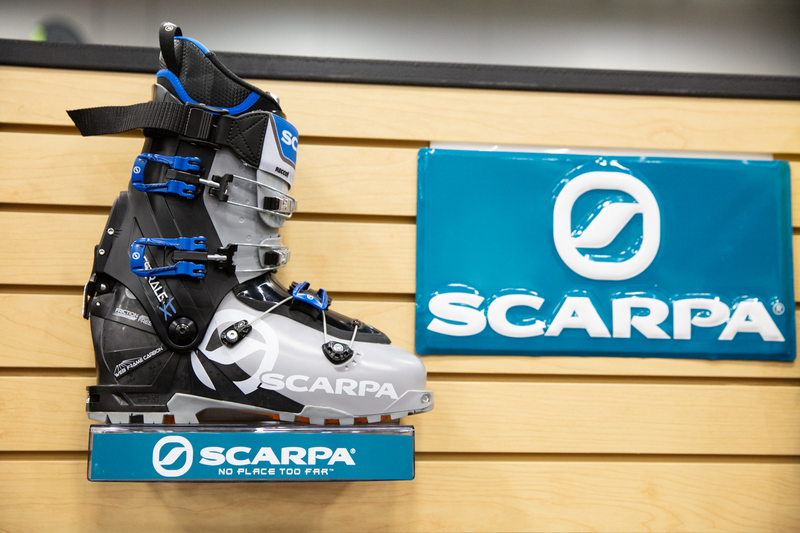 The big news from Scarpa is the introduction of the new Scarpa Maestrale XT. 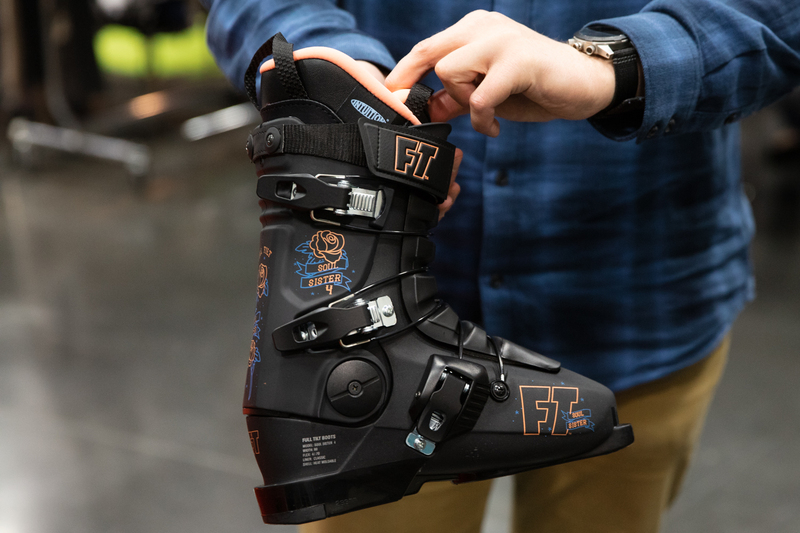 Designed to compete directly with the many new “130” flex freetour boots on the market, Maestrale XT builds on the success of the Maestrale/Gea redesign of 17/18 and features the same fit profile and sole design. Maestrale XT is noticeably stiffer thanks to its carbon and Grilamid construction and features a beefier upper cuff and power strap. 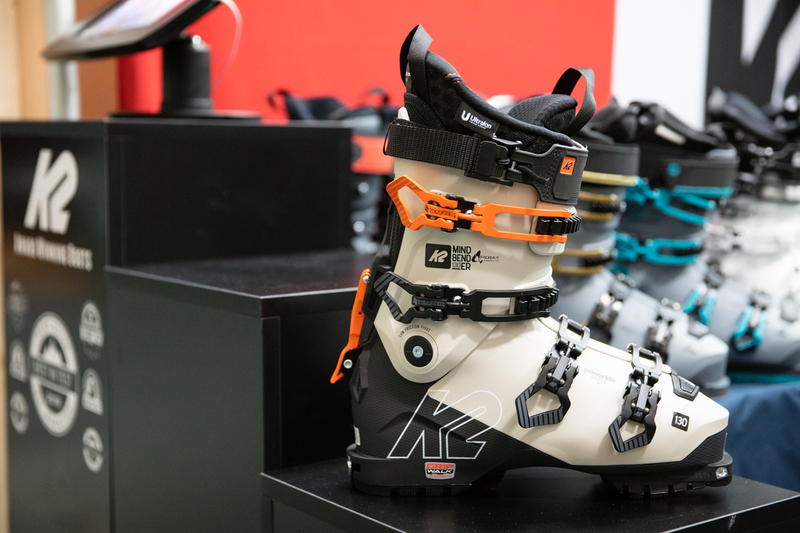 It also has a different walk mode derived from Scarpa’s Freedom boot line. The other big difference between Maestrale RS and XT is the buckle layout - XT does not have the typical Scarpa ankle ratchet strap. 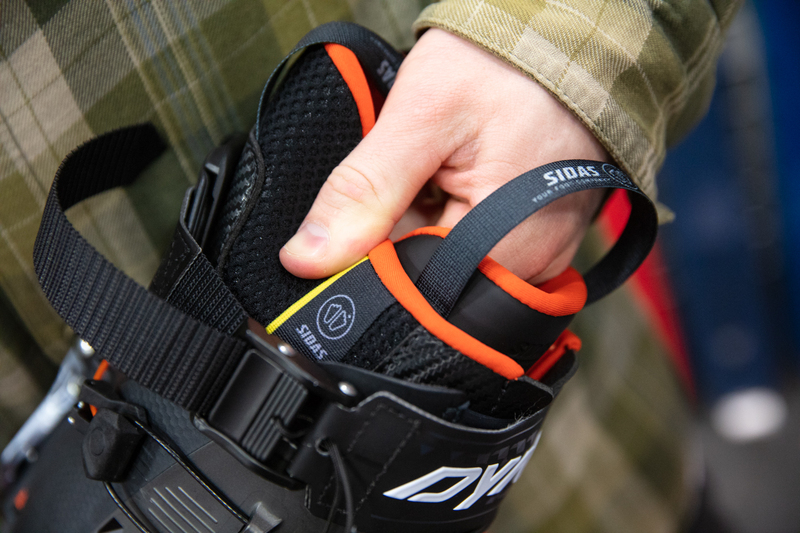 Instead, it has two full upper cuff buckles for improved power and control. The non-XT Maestrale and Gea models also recieve a light walk mode revision for 2020. Magnets! 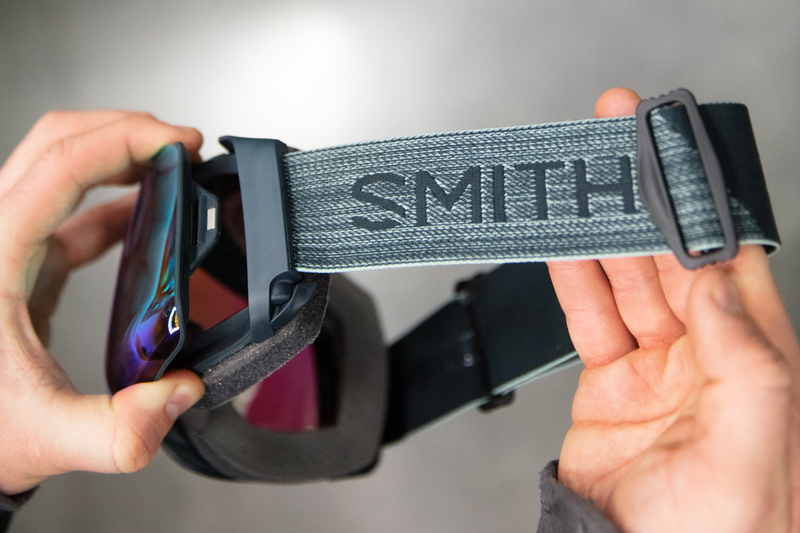 The Smith IO MAG family grows even bigger for 2020 with the addition of the IO MAG XL and IO MAG S. These new models give more size options to skiers with smaller faces and those that like the look of a bigger goggle. 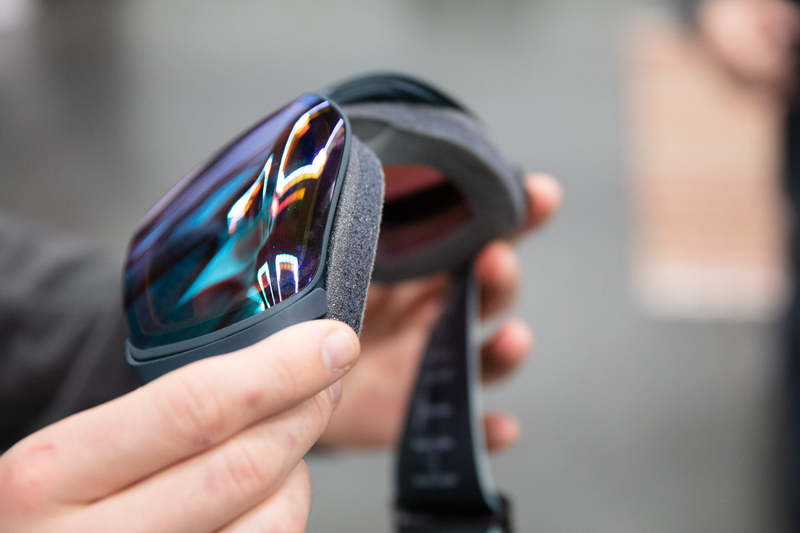 In addition to the new IO MAG models, Smith is introducing the new 4D MAG, with some pretty cool technology that is new to the ski goggle world. The “Birds Eye Vision” tech means that the lower part of the lens is curved downwards, giving 25% more field of view. 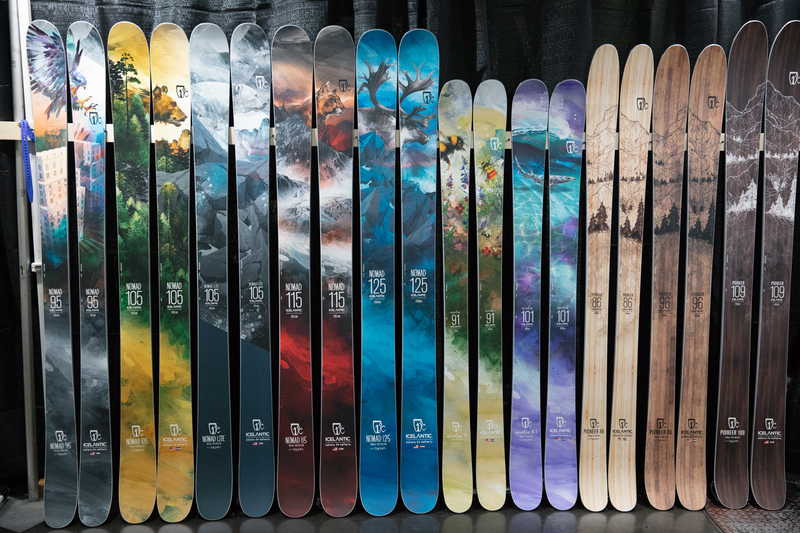 Smith’s collaborations are strong once again, featuring collabs with Cody Townsend, Louif Paradis, Bobby Brown, The North Face & Austin Smith, Adam Haynes, and Boarding For Breast Cancer. 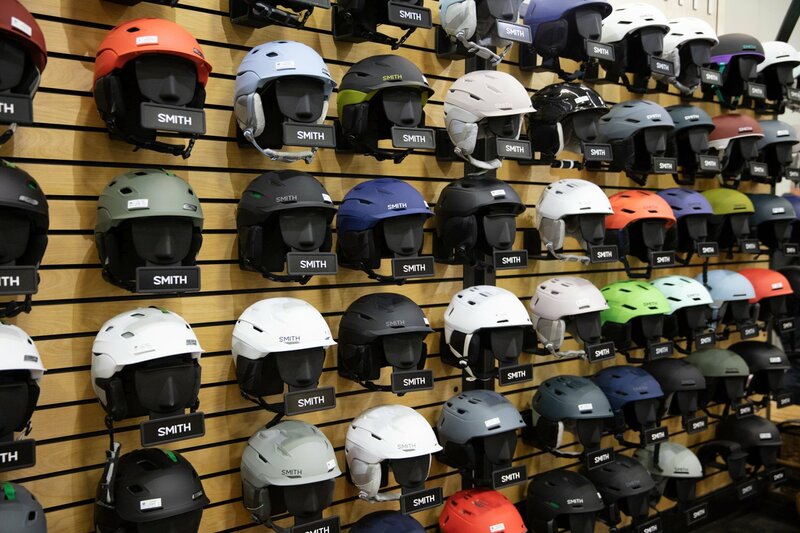 The Level and Liberty helmets are new to the 2020 Smith lineup, too. 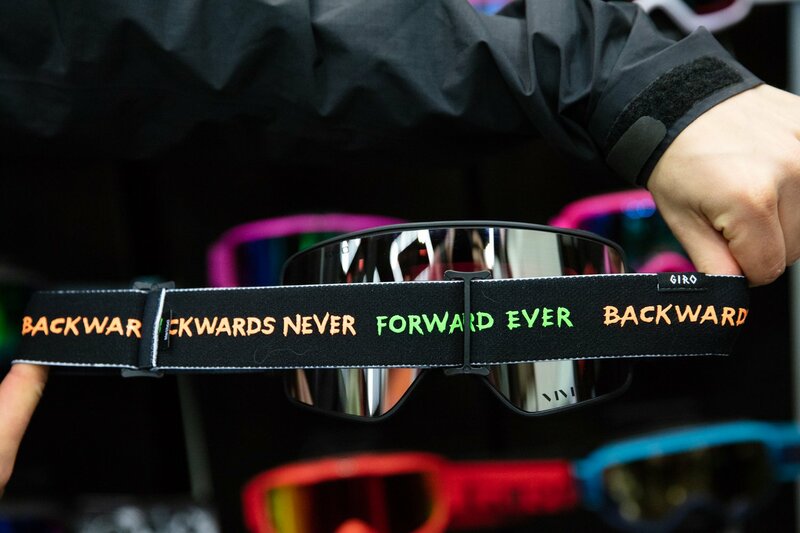 New 4D MAG with “Birds Eye Vision"
Feet, just like skiers, come in many different shapes and sizes. With this in mind, Tecnic now offers the Mach1 in three different widths, 98mm, 100mm, and 103mm. 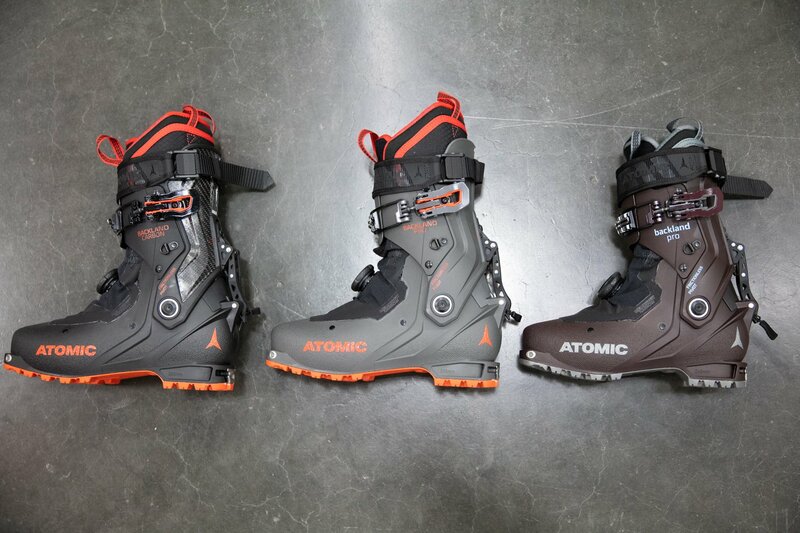 New molds have allowed them to produce these different volume boots to cater to different shaped feet. 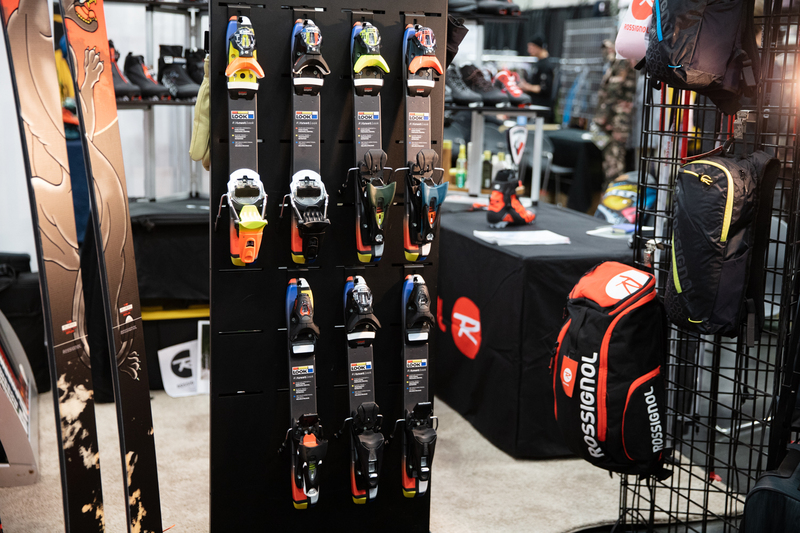 On the touring side of things, the Zero G comes back for another year after major updated last year, while the Cochise gets updated this year. 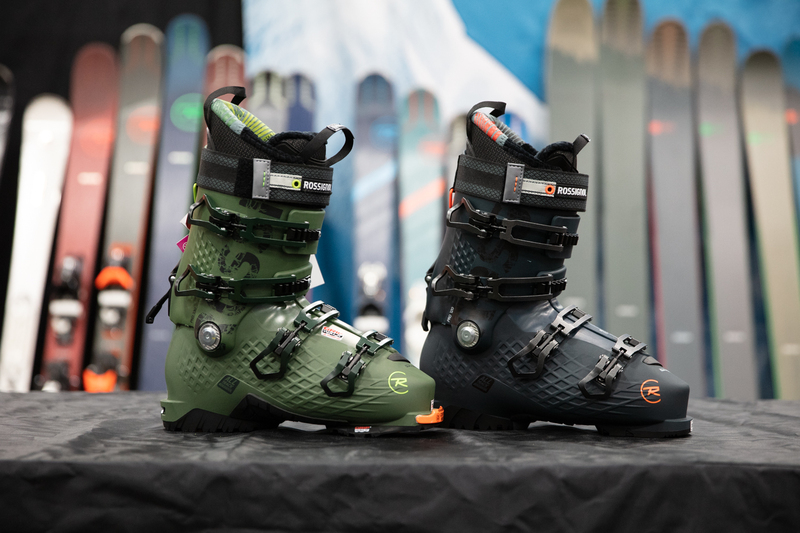 The 2020 Tecnica Cochise 130 gets a Recco chip and a Vibram sole, while tech inserts get added to the men’s 110 and women’s 95. 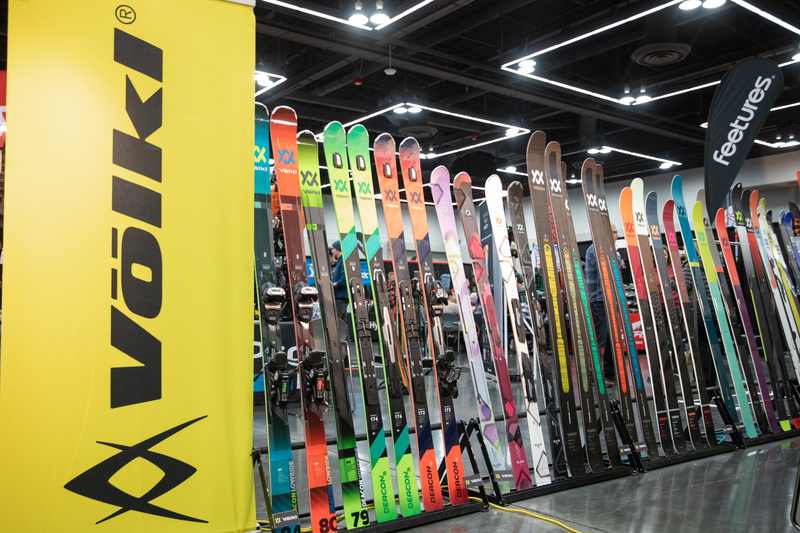 The Volkl Mantra is perhaps one of the most iconic skis of all time, this year it gets a bigger brother. 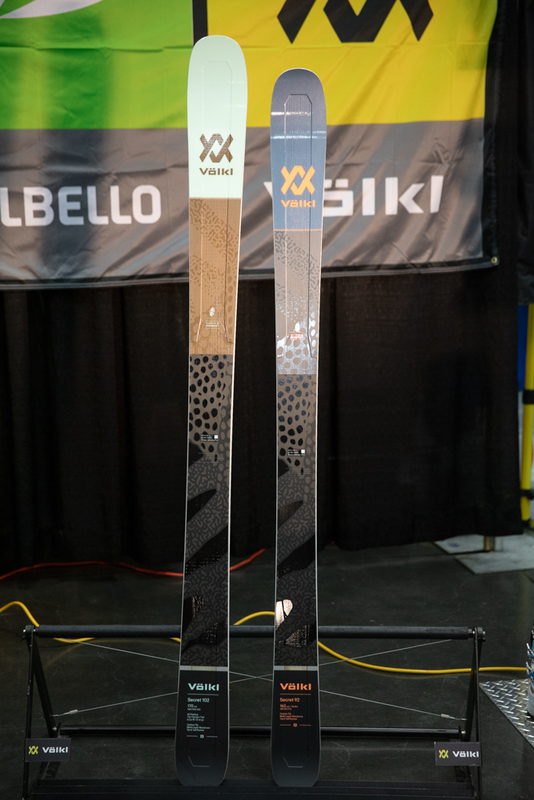 The 2020 Volkl Mantra 102 builds off the the ever popular M5 Mantra platform, with more width for soft snow performance. This new addition is mirrored on the women’s side with a new Secret 102 to compliment the Secret 92 and other skinnier options. 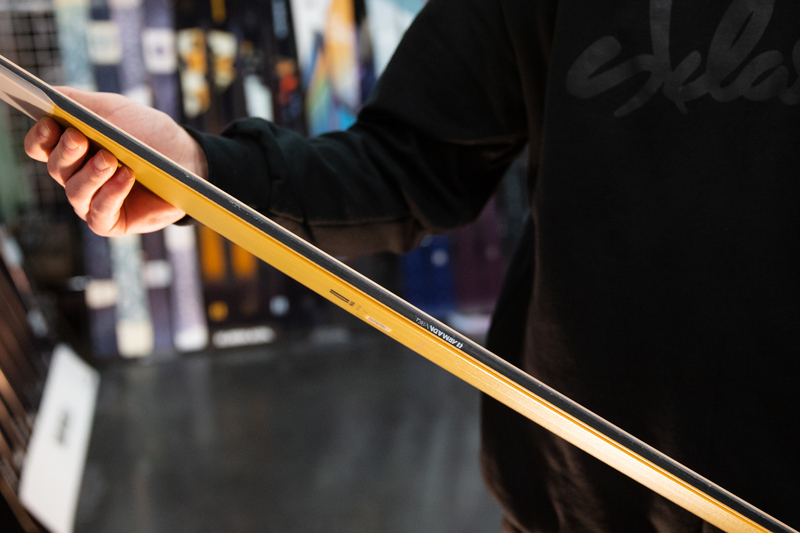 Even fatter, the Revolt 121 is introduced as the brainchild freestyle powder ski of many of Volkl’s #builttogether pro riders. Taking it back to the groomers, the RTM naming series moves into the Deacon family for 2020.